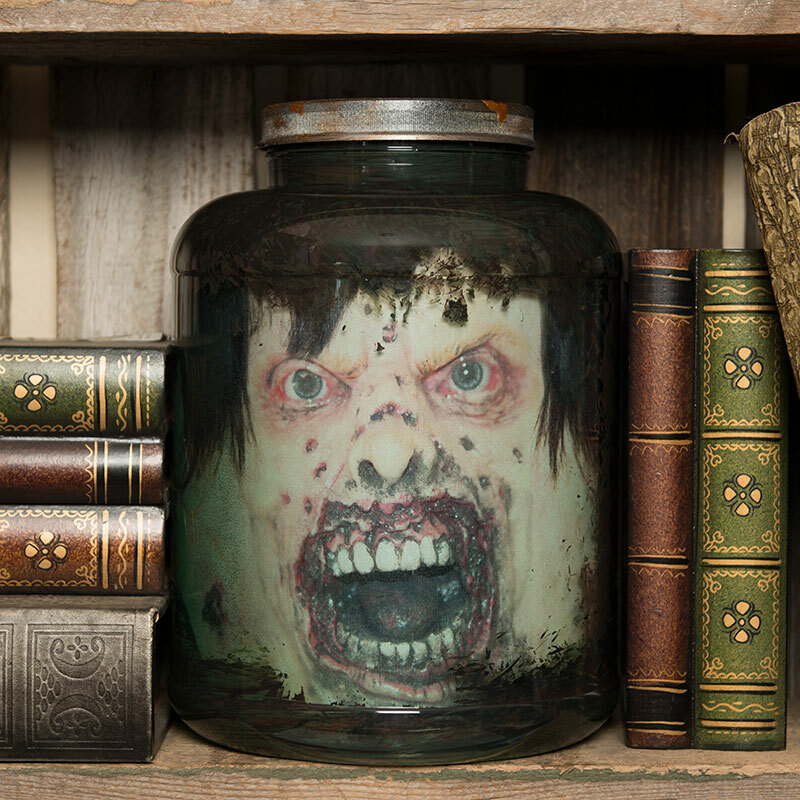 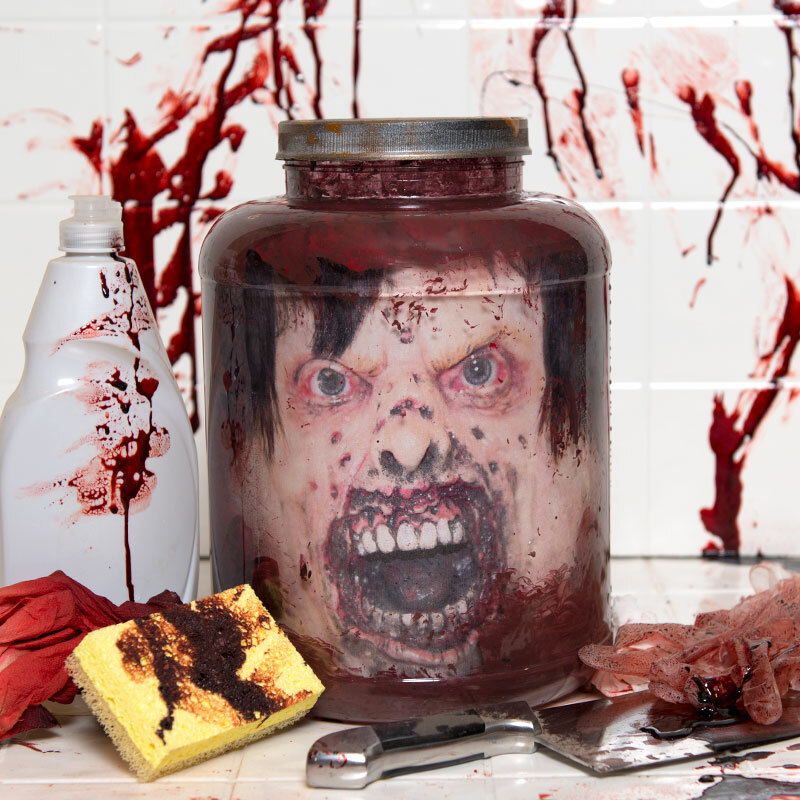 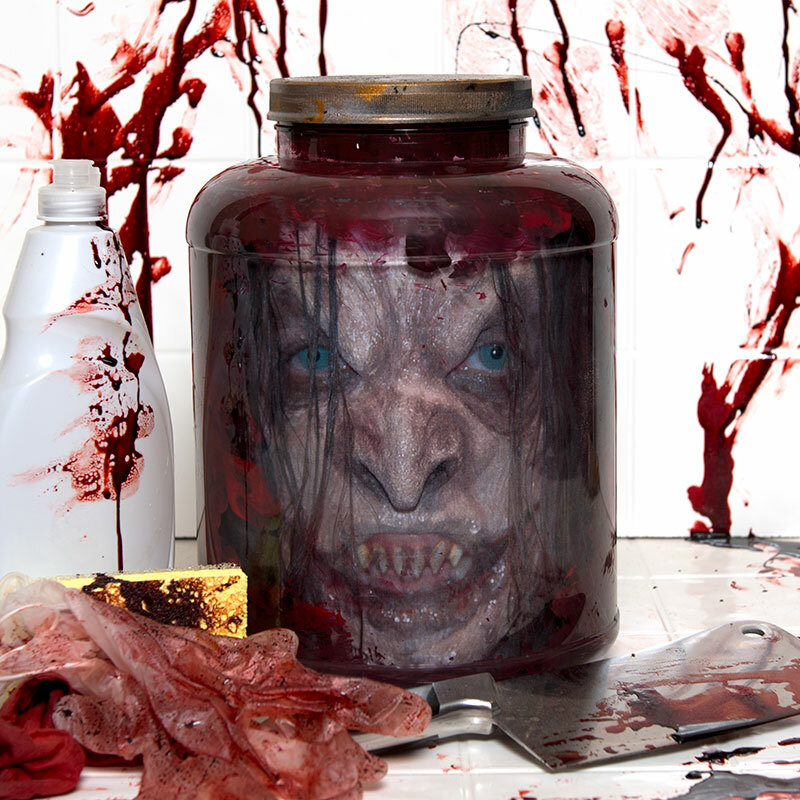 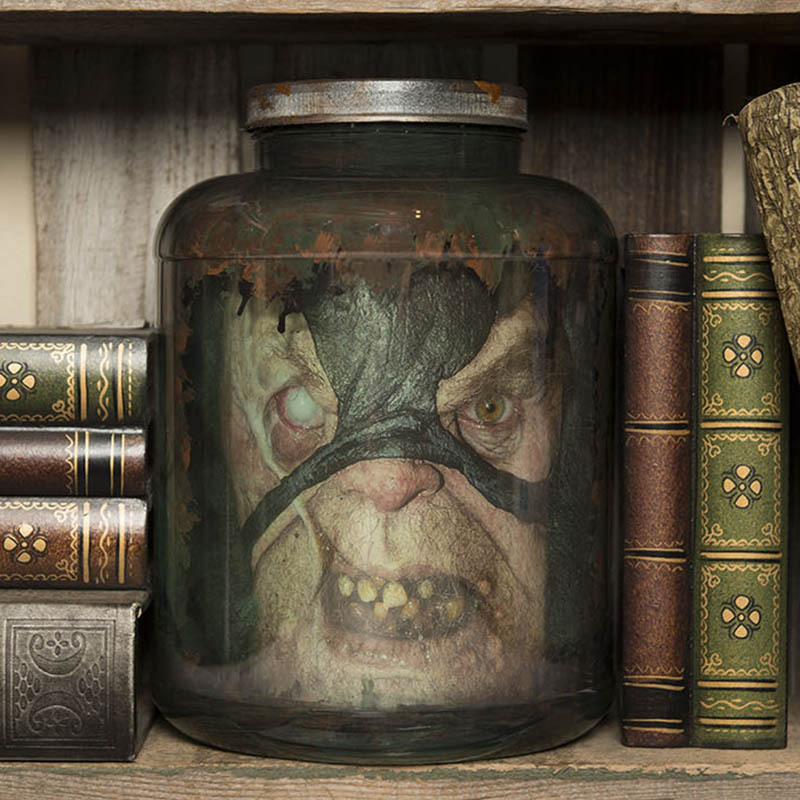 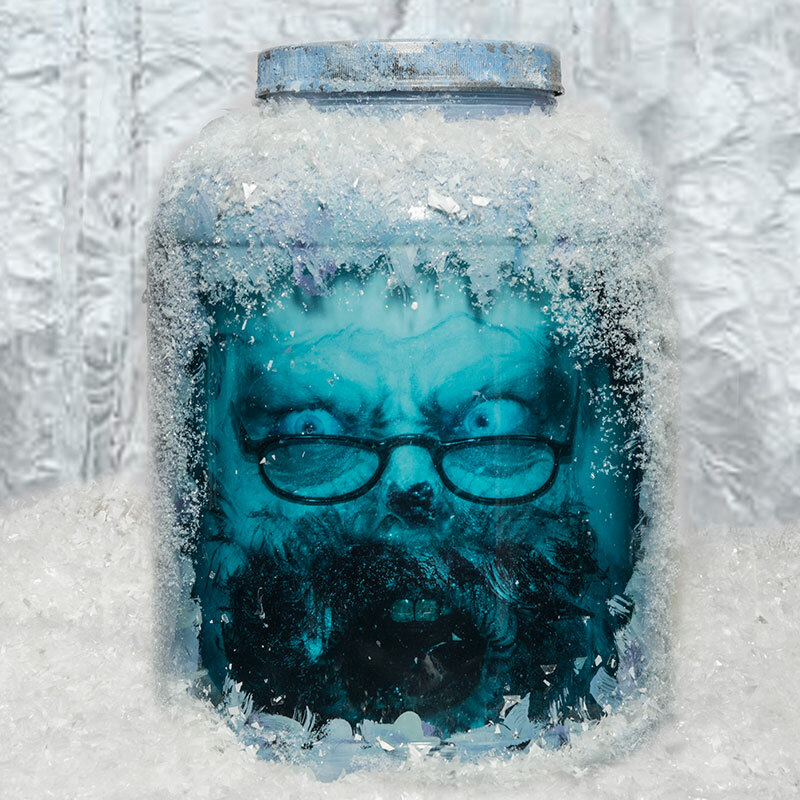 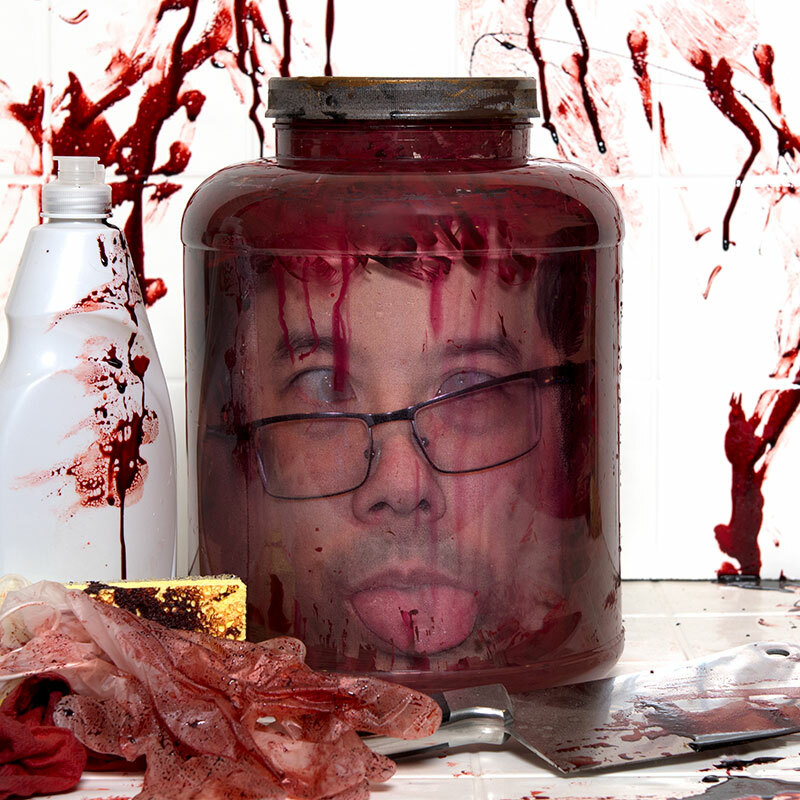 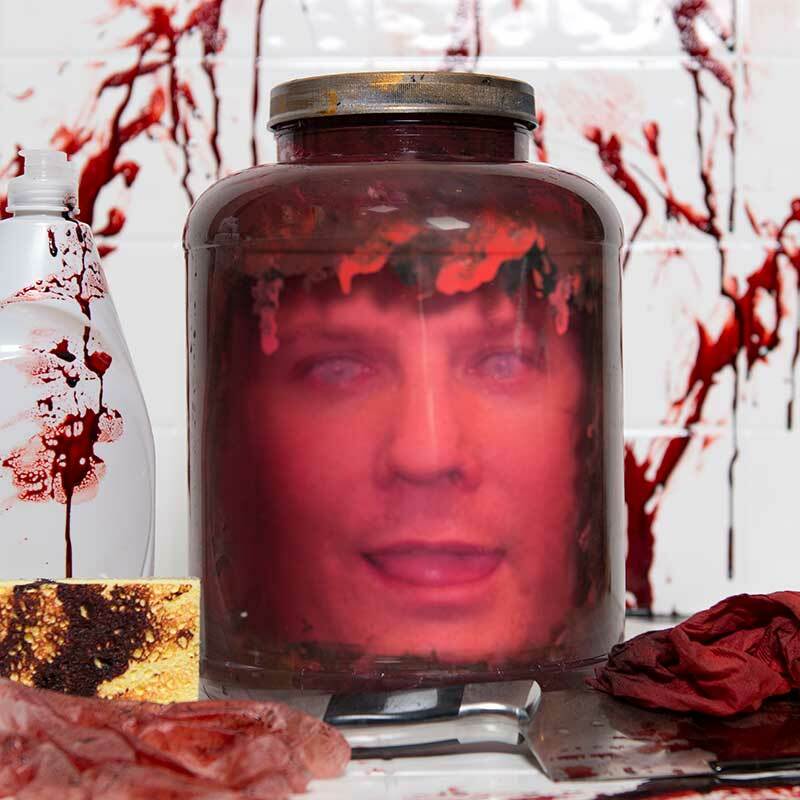 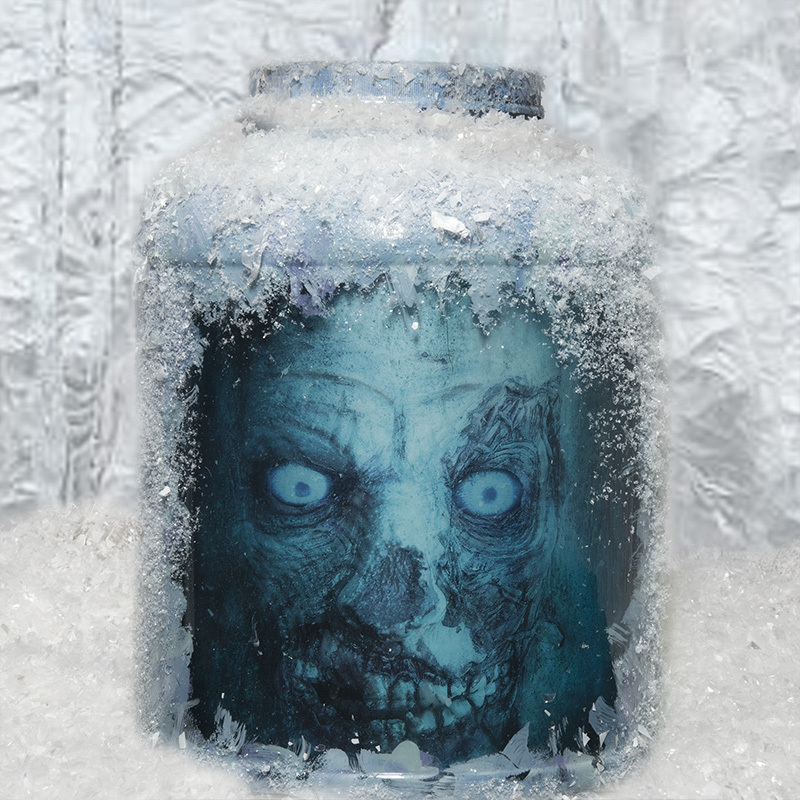 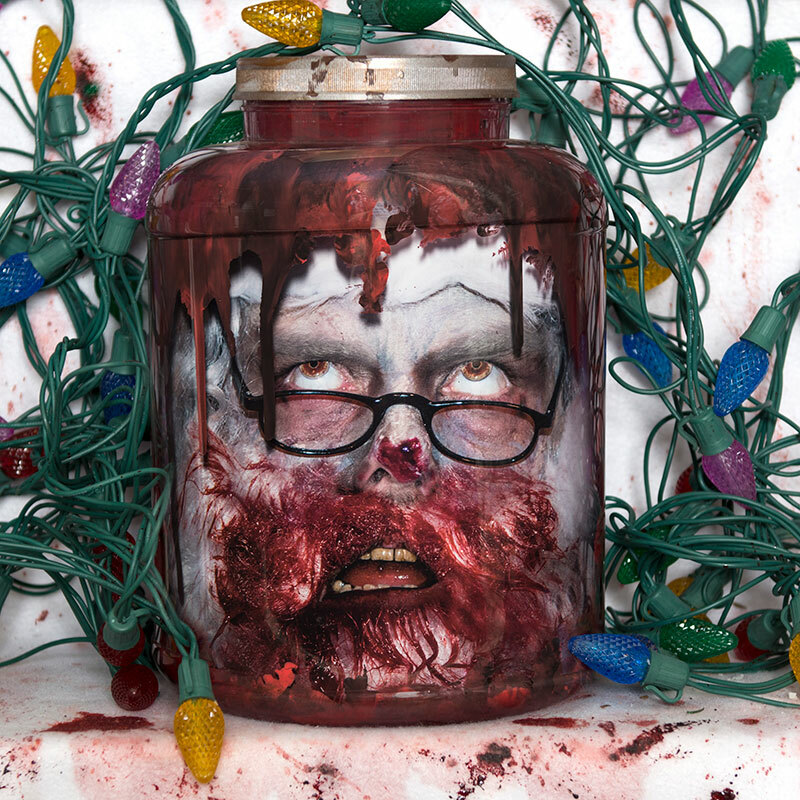 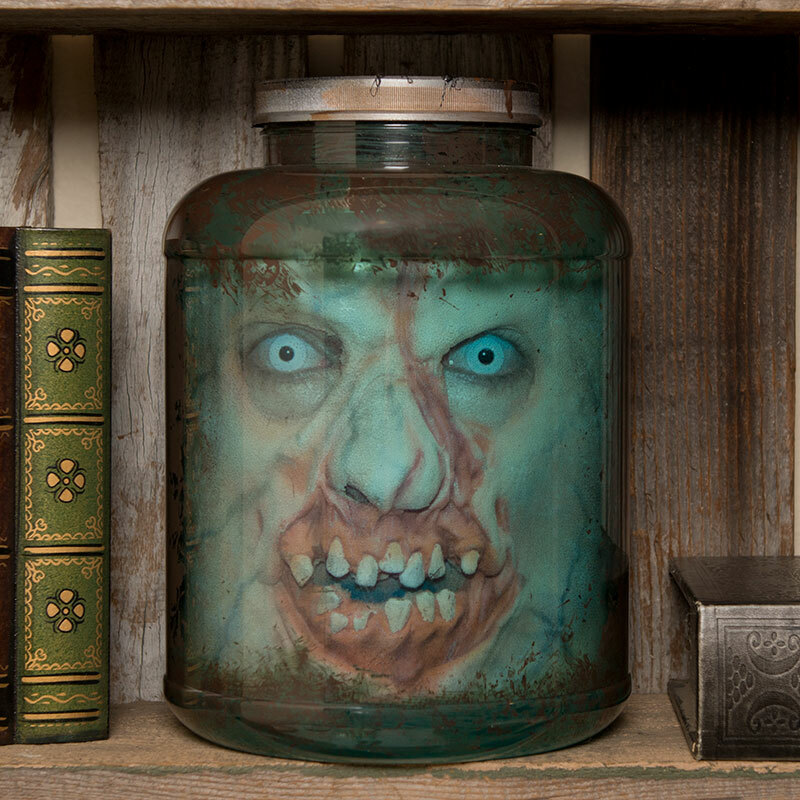 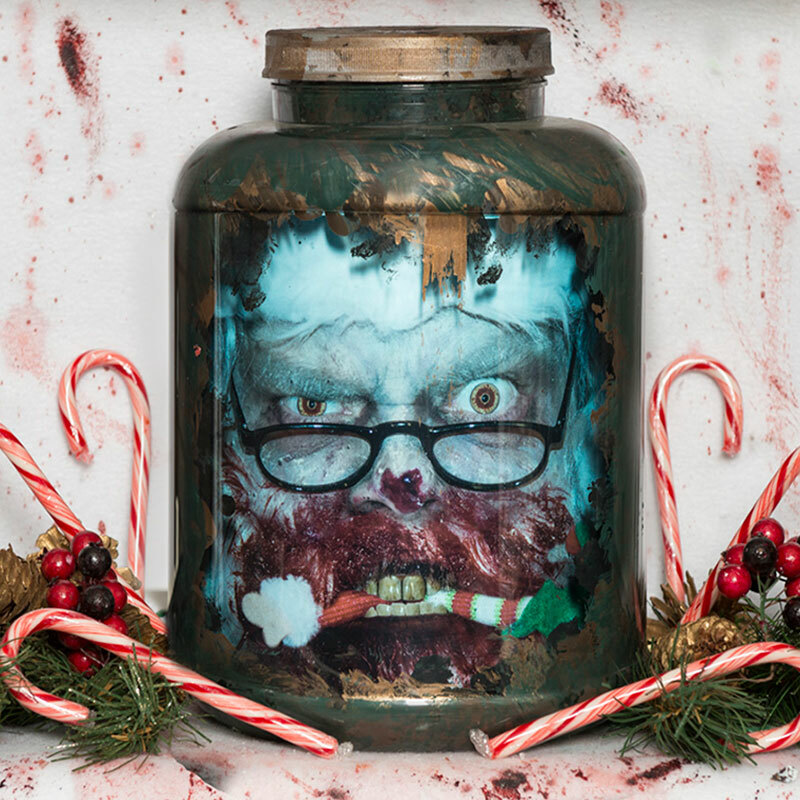 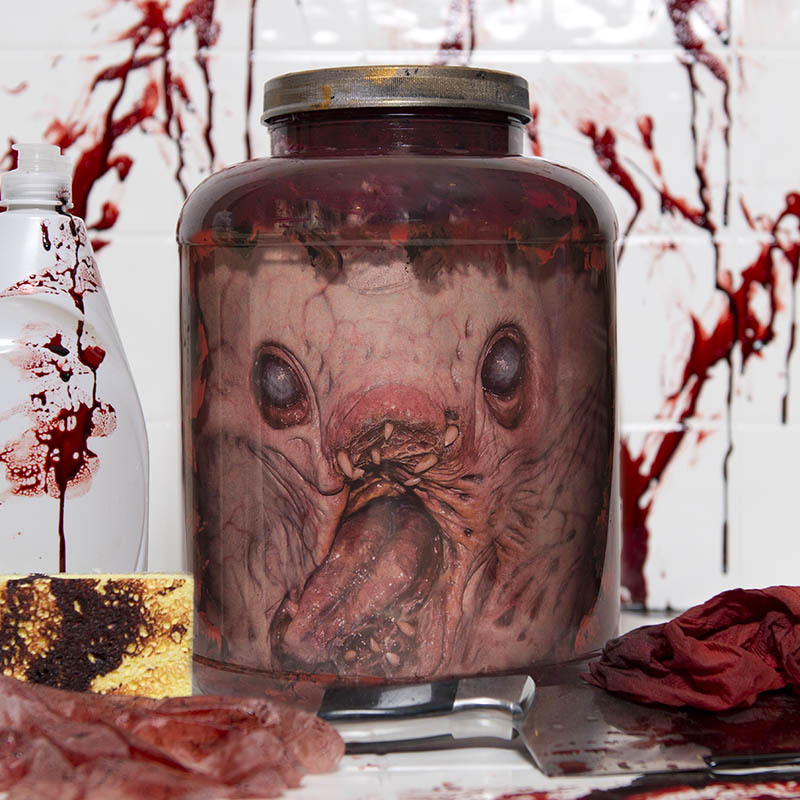 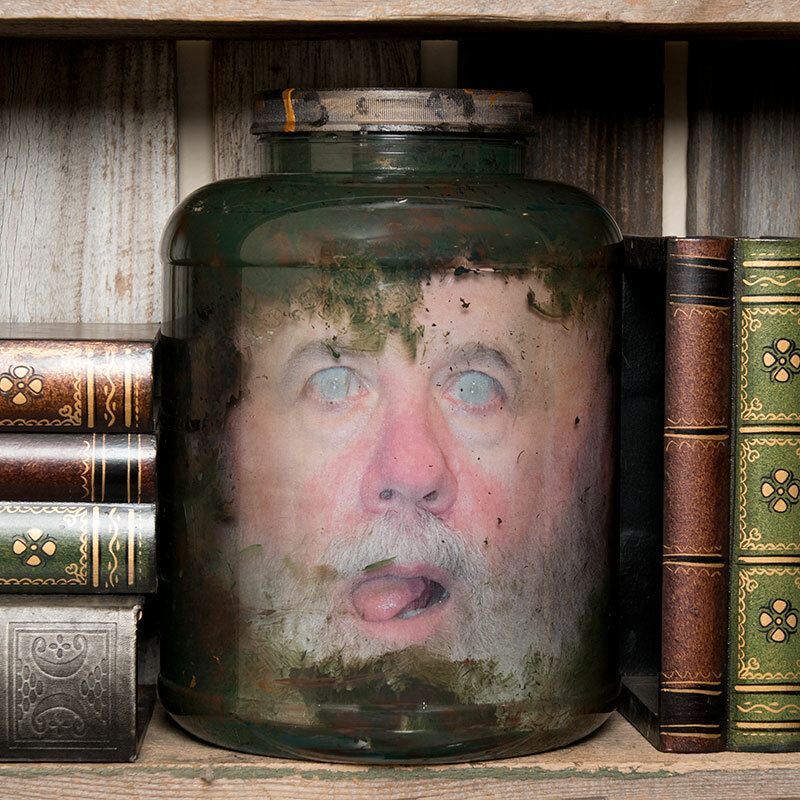 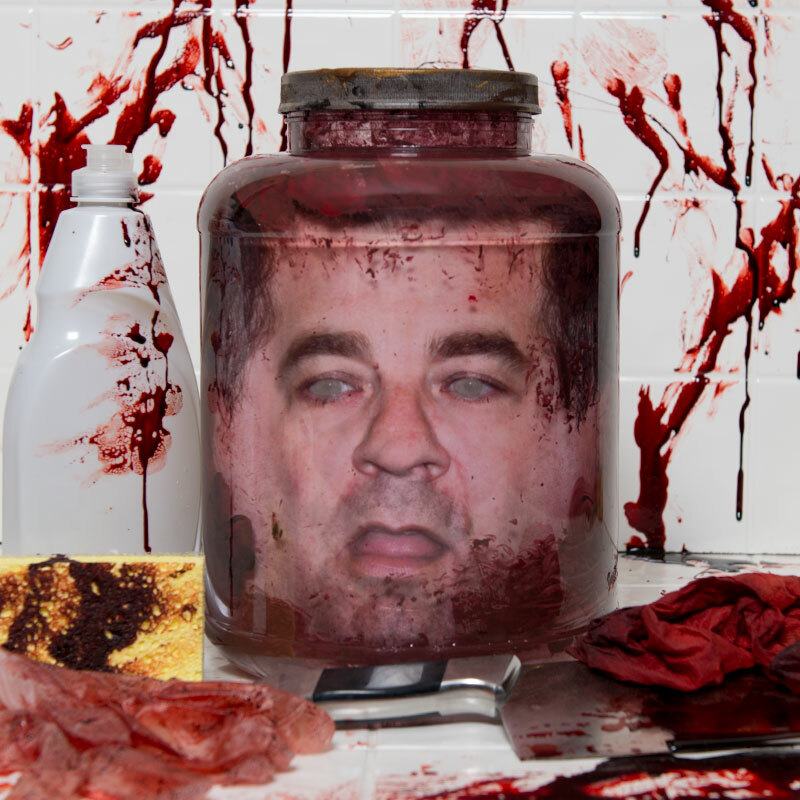 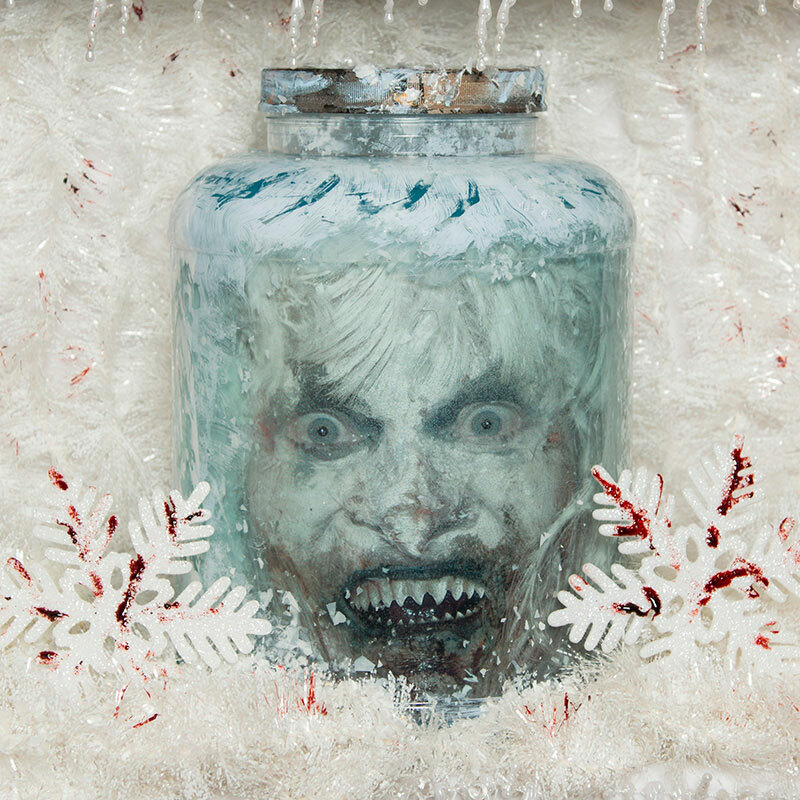 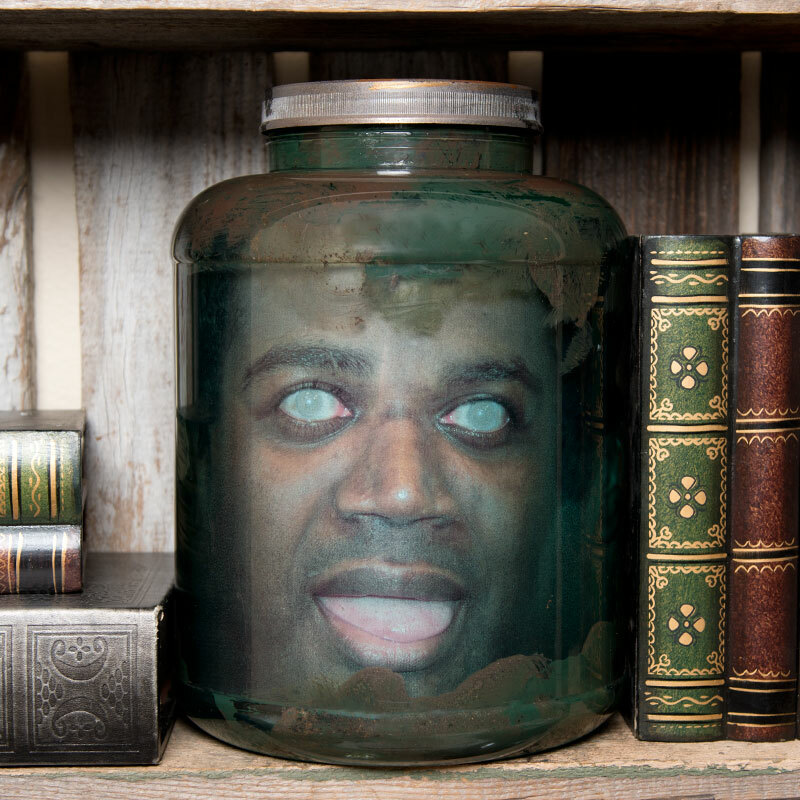 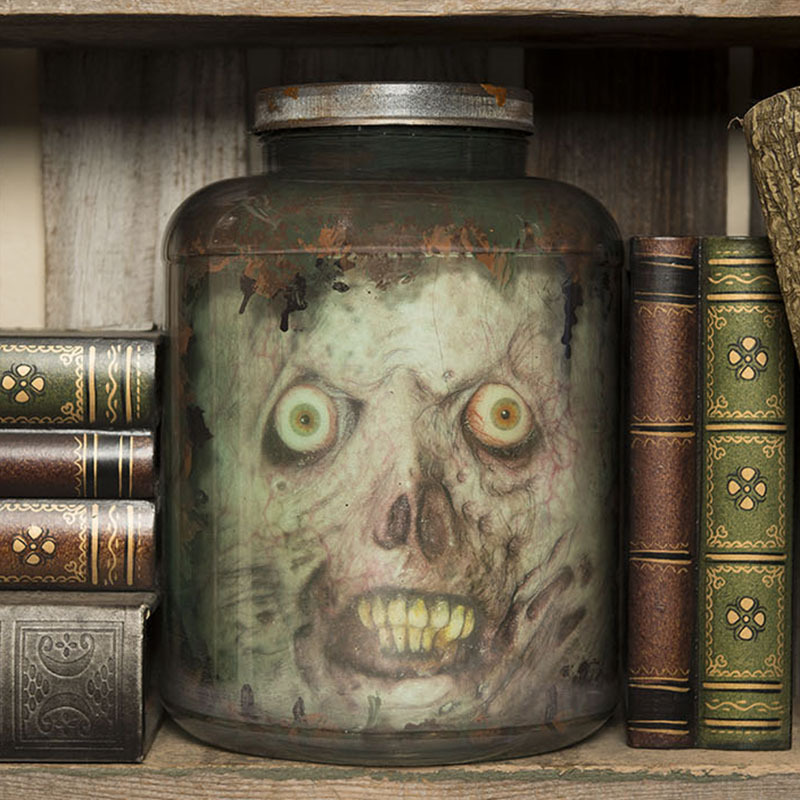 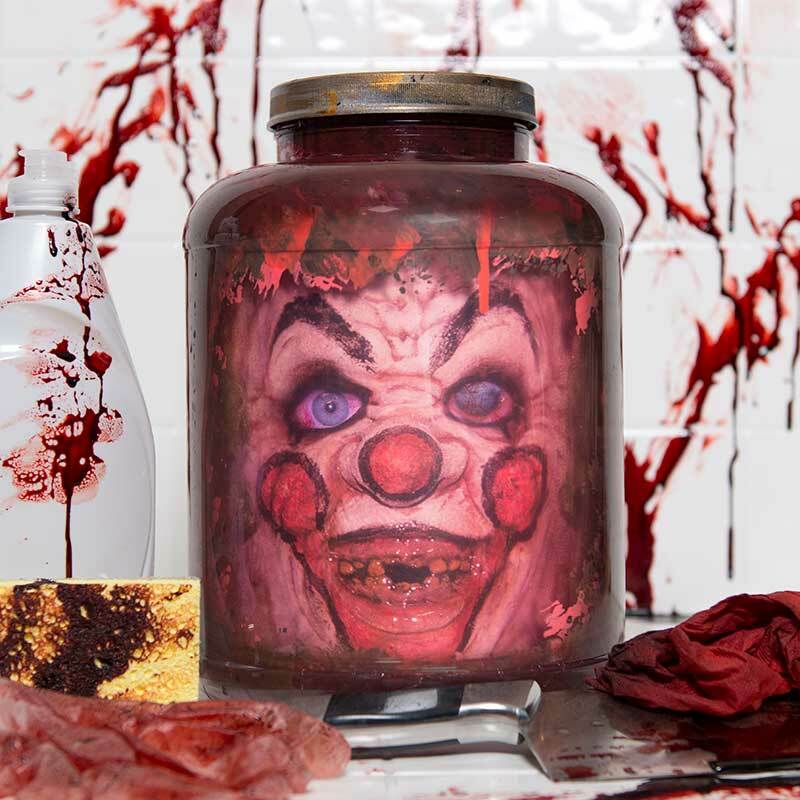 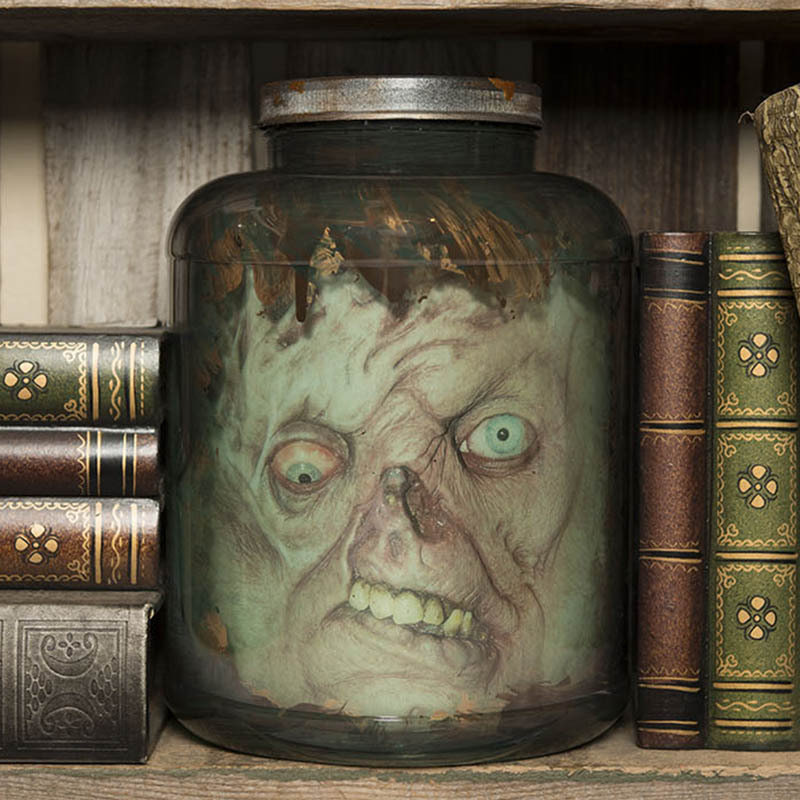 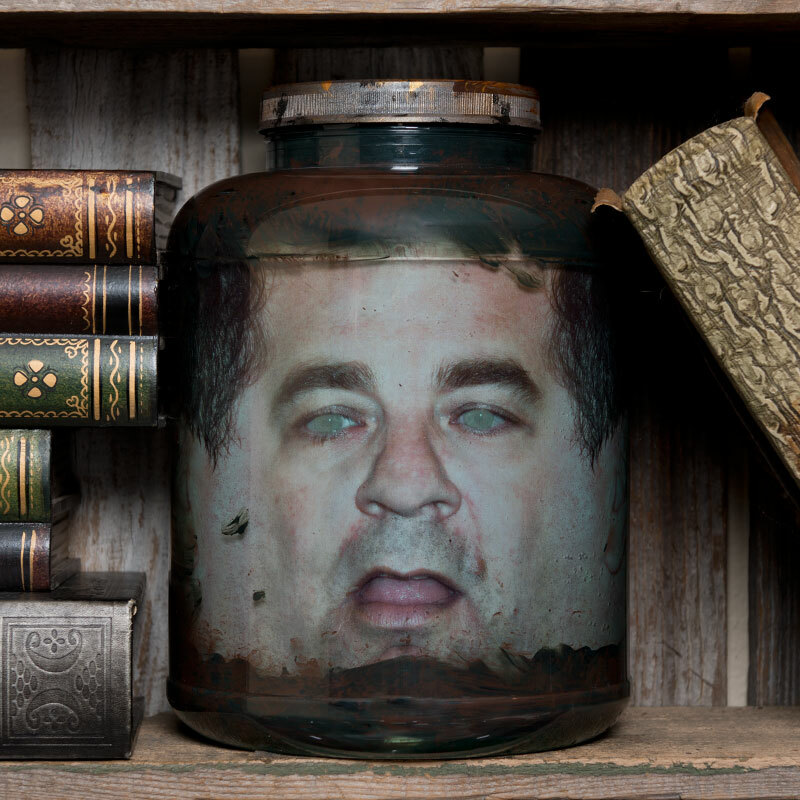 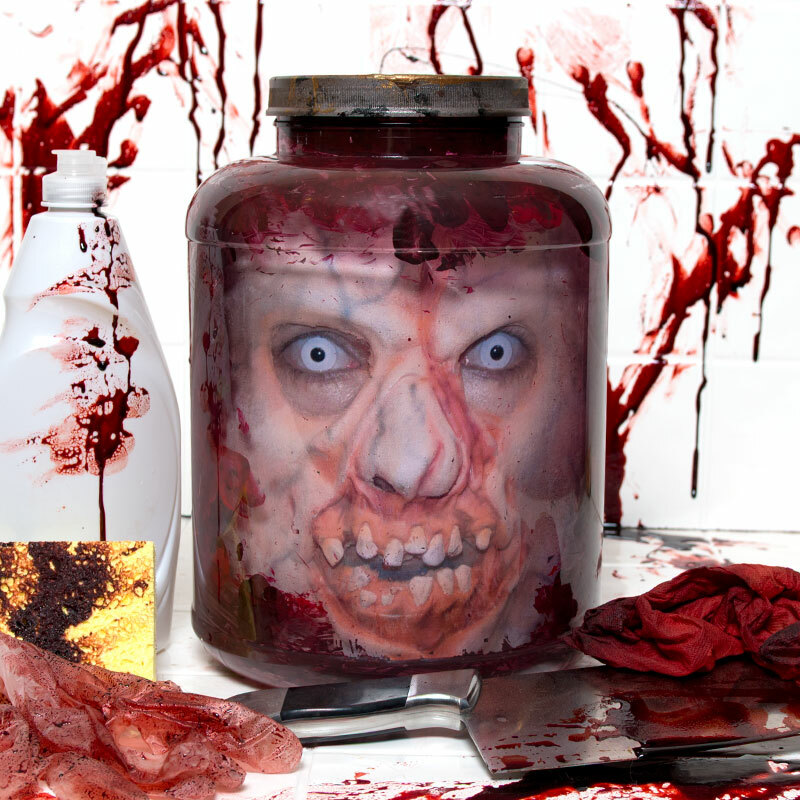 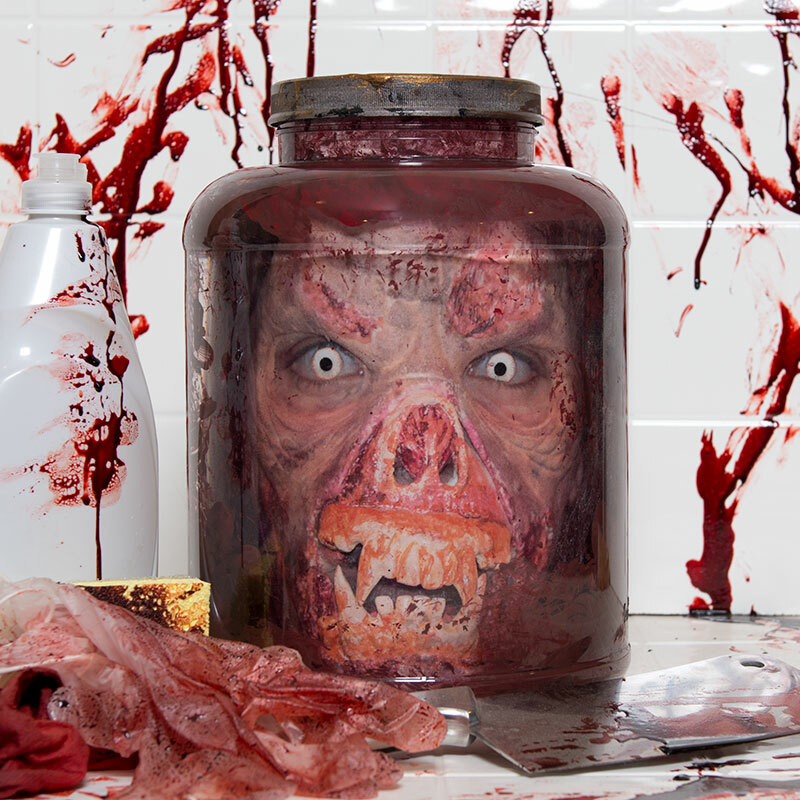 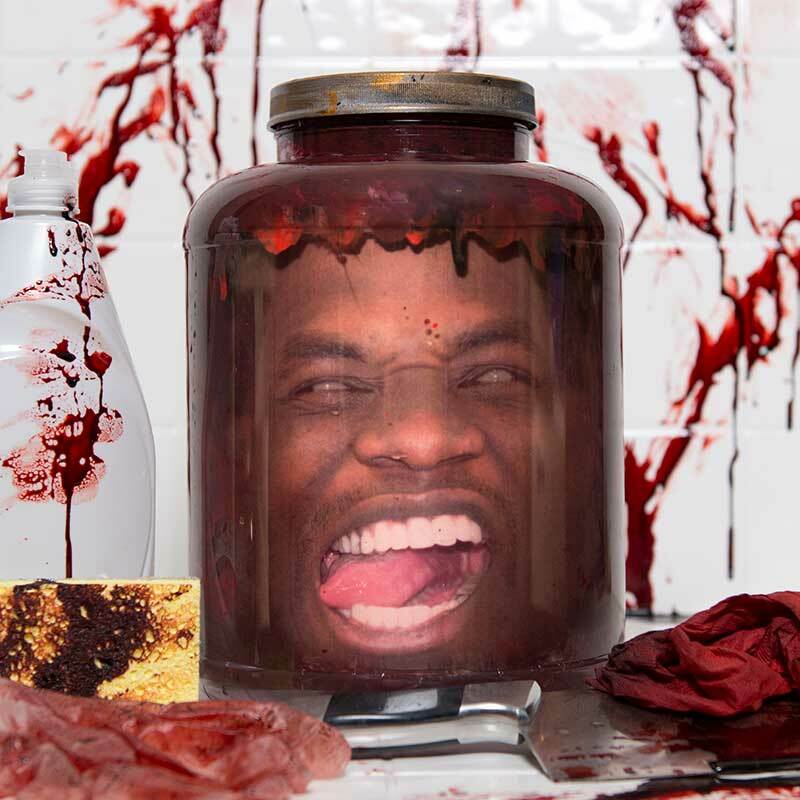 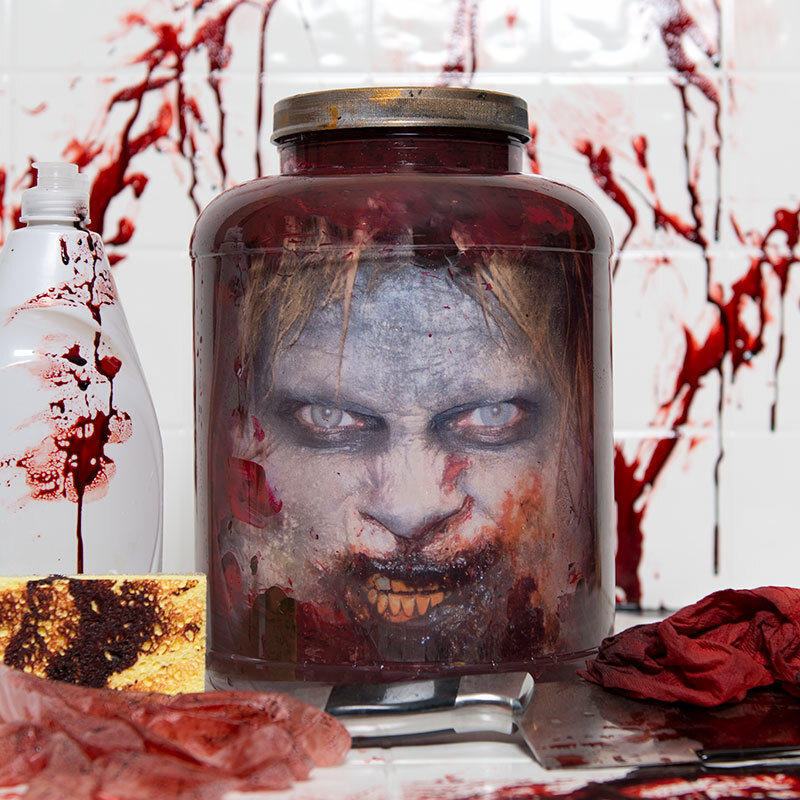 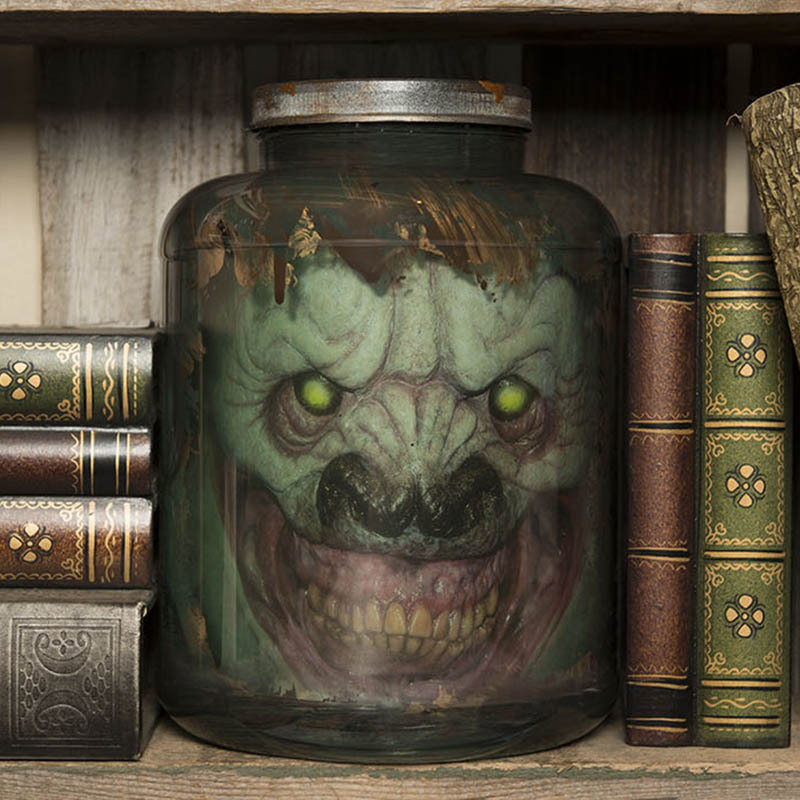 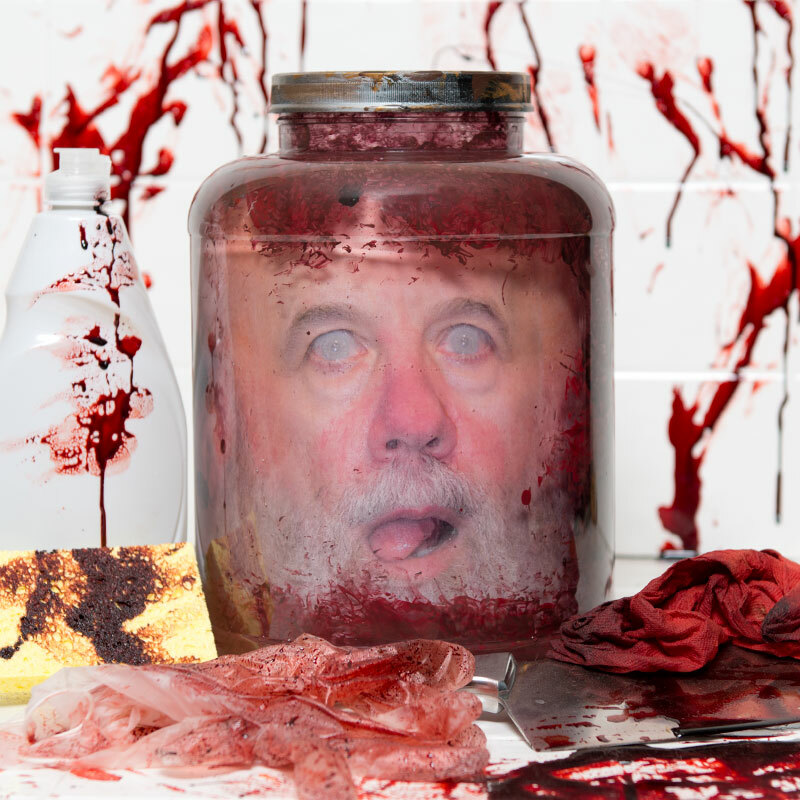 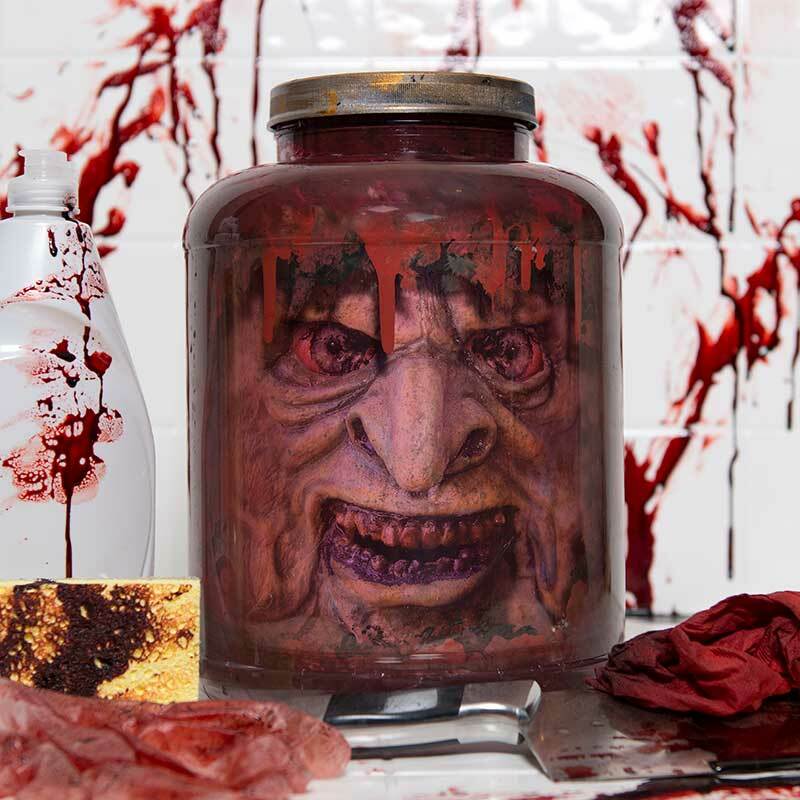 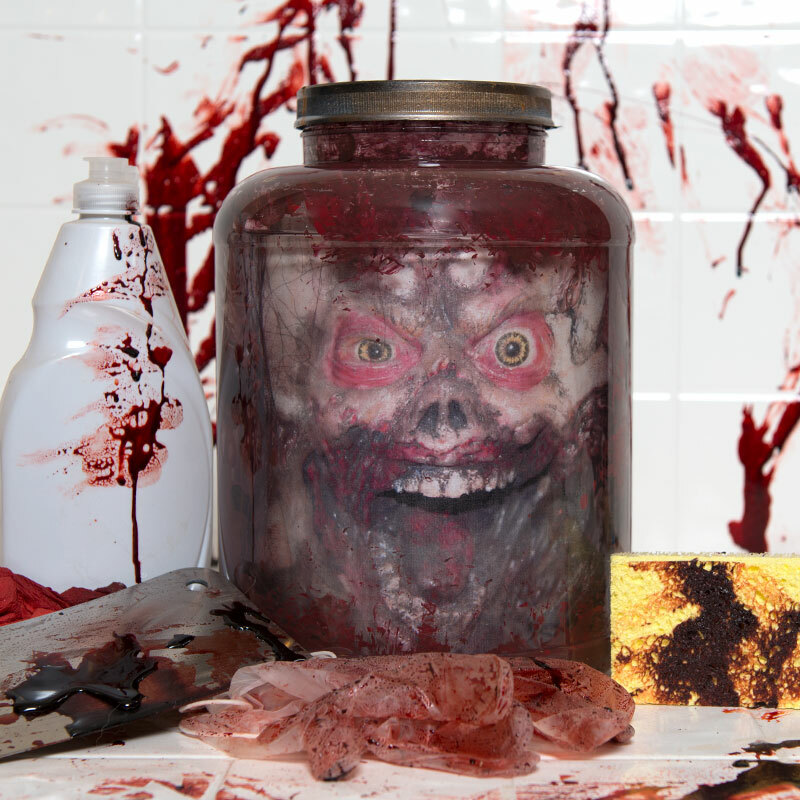 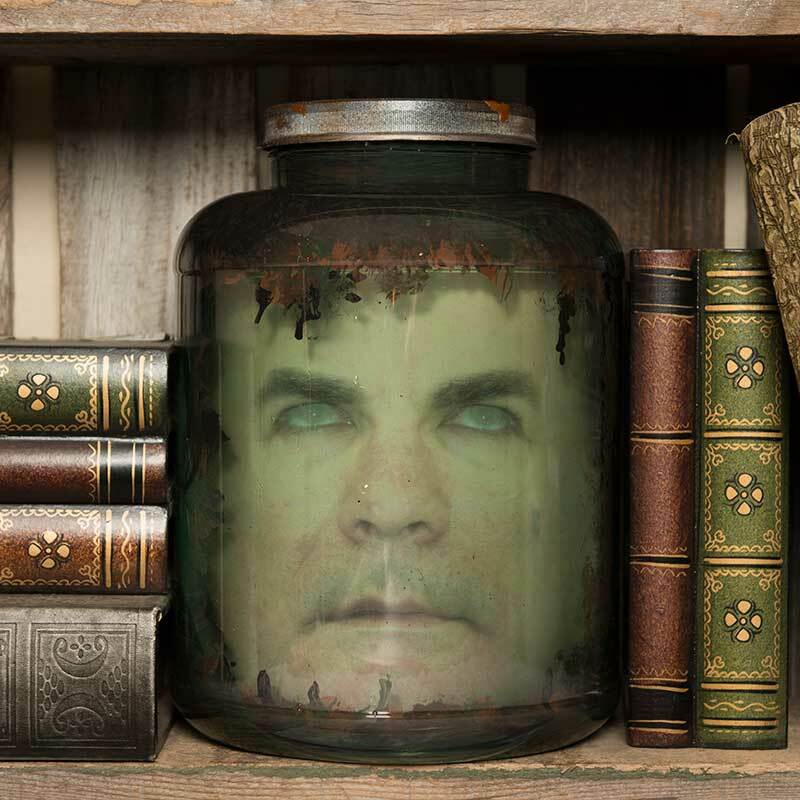 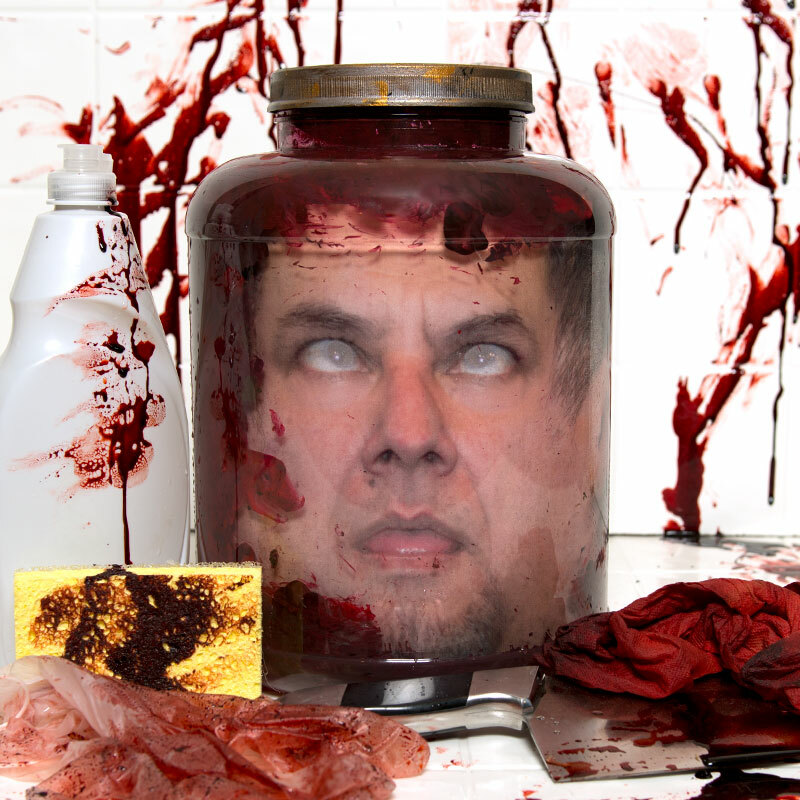 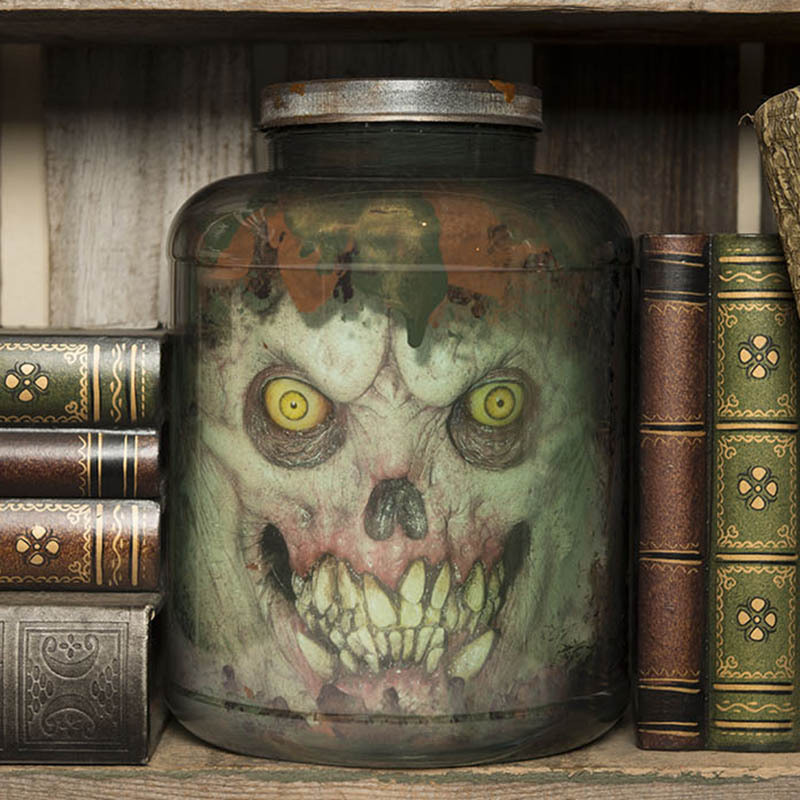 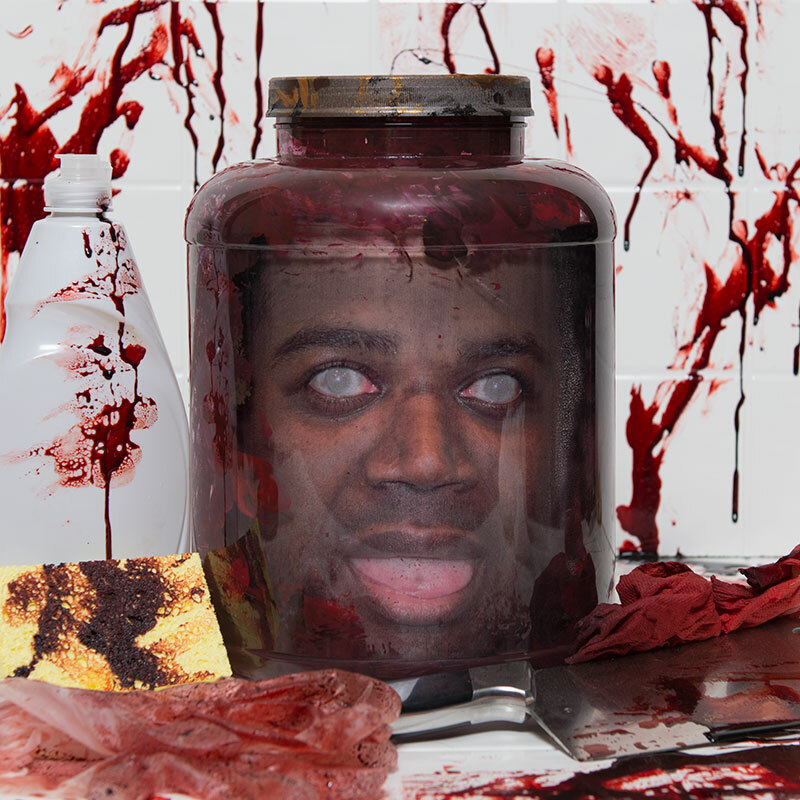 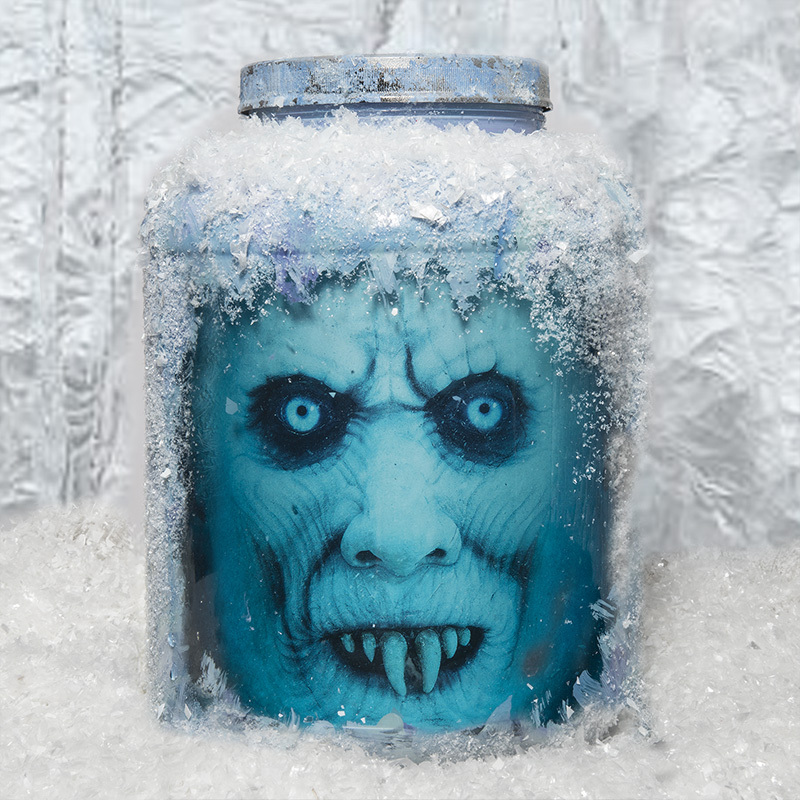 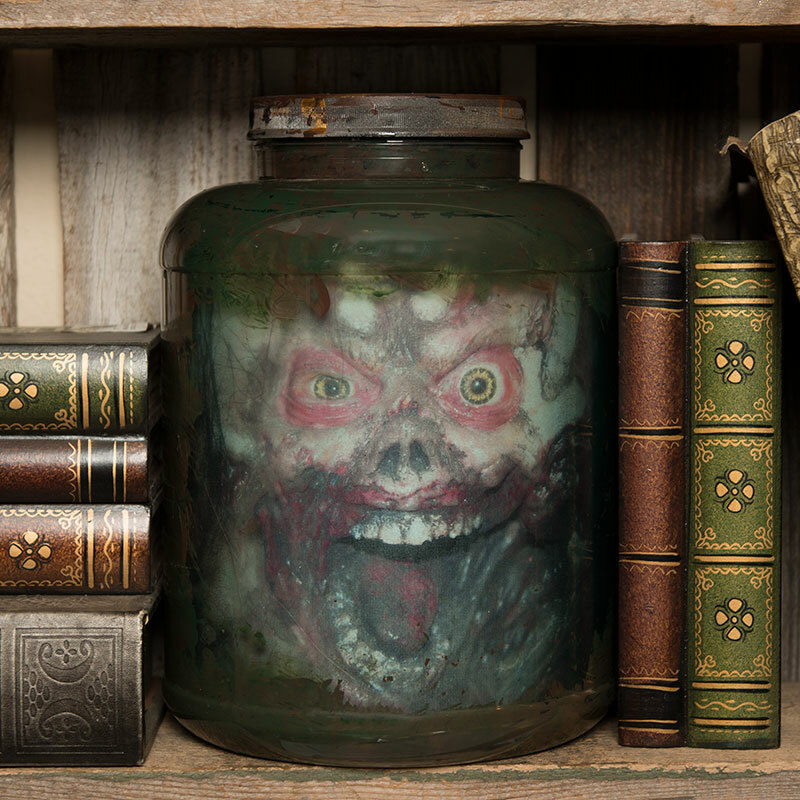 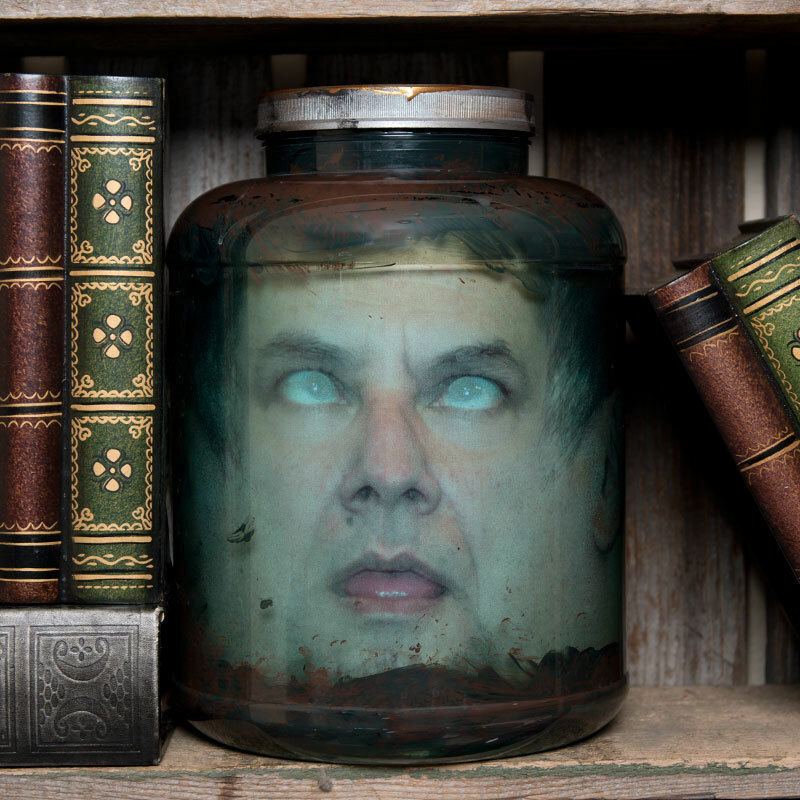 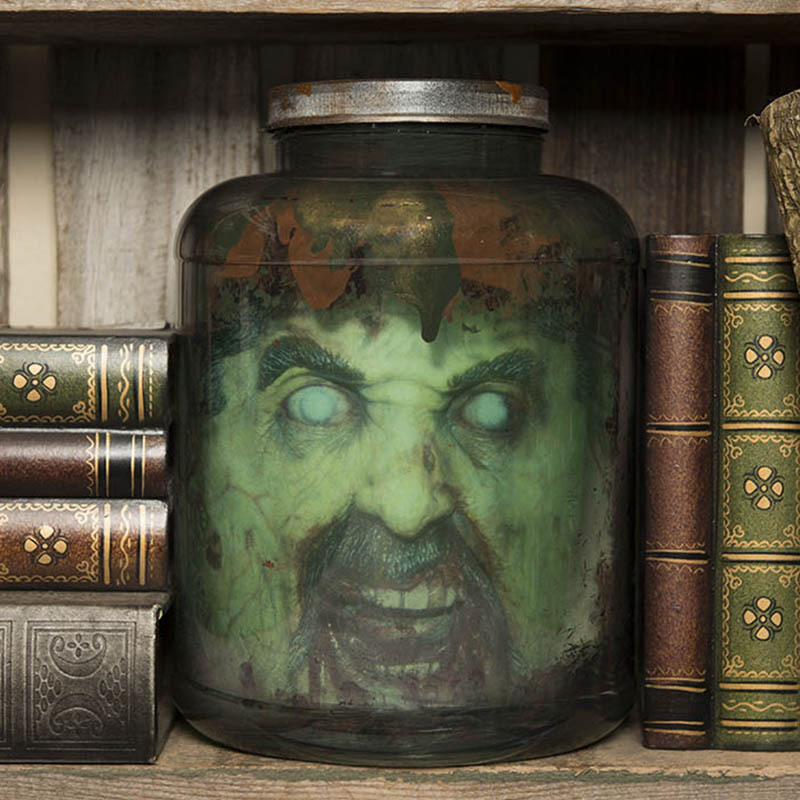 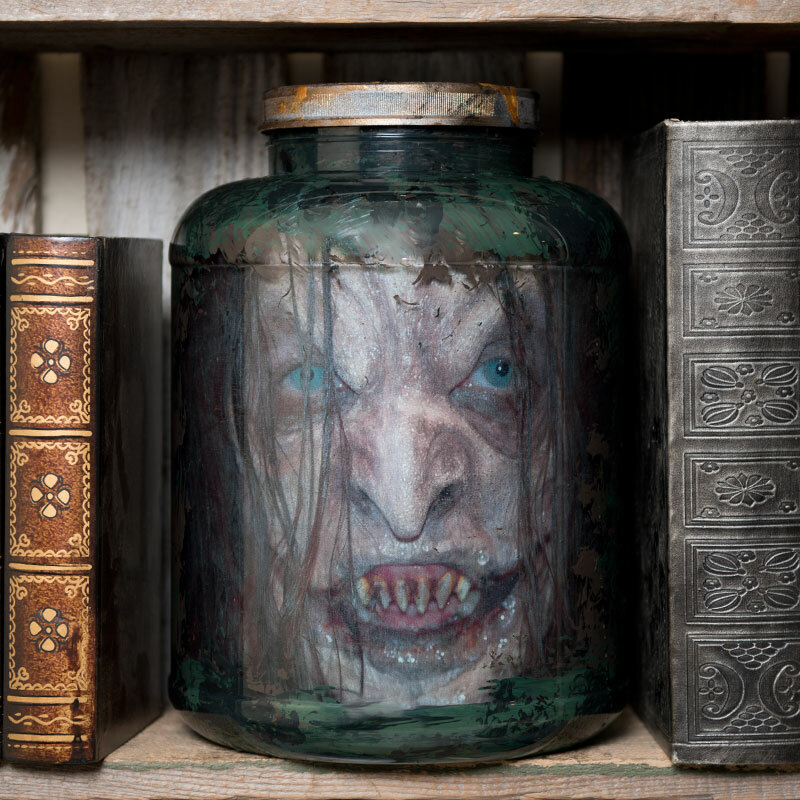 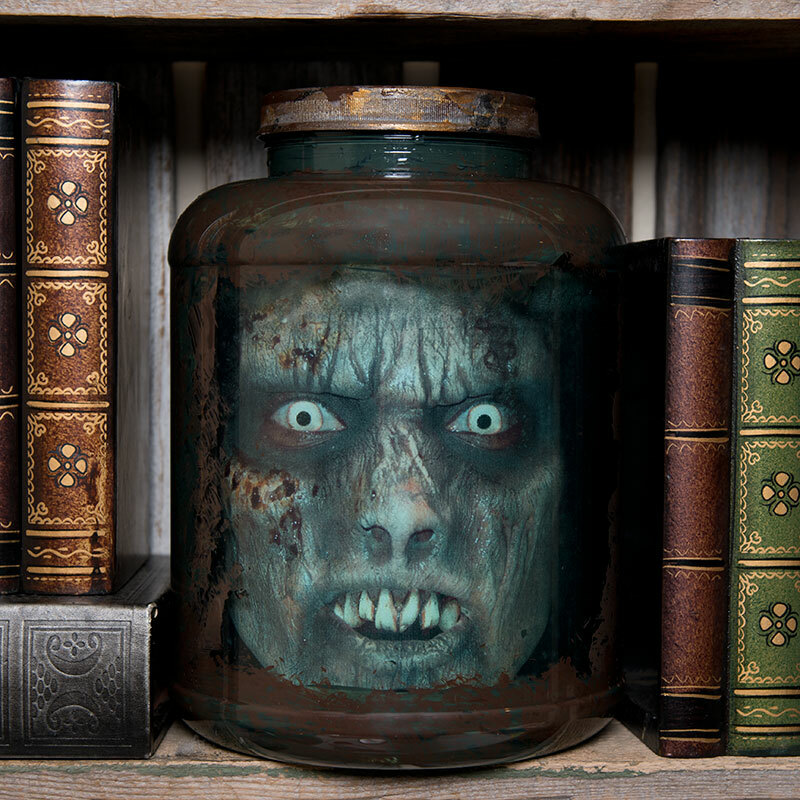 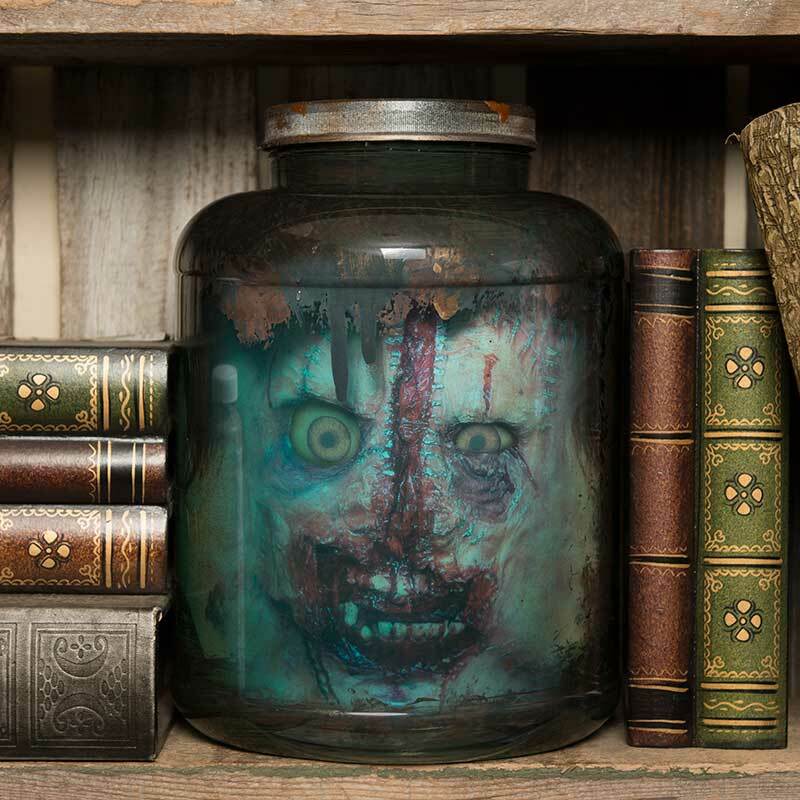 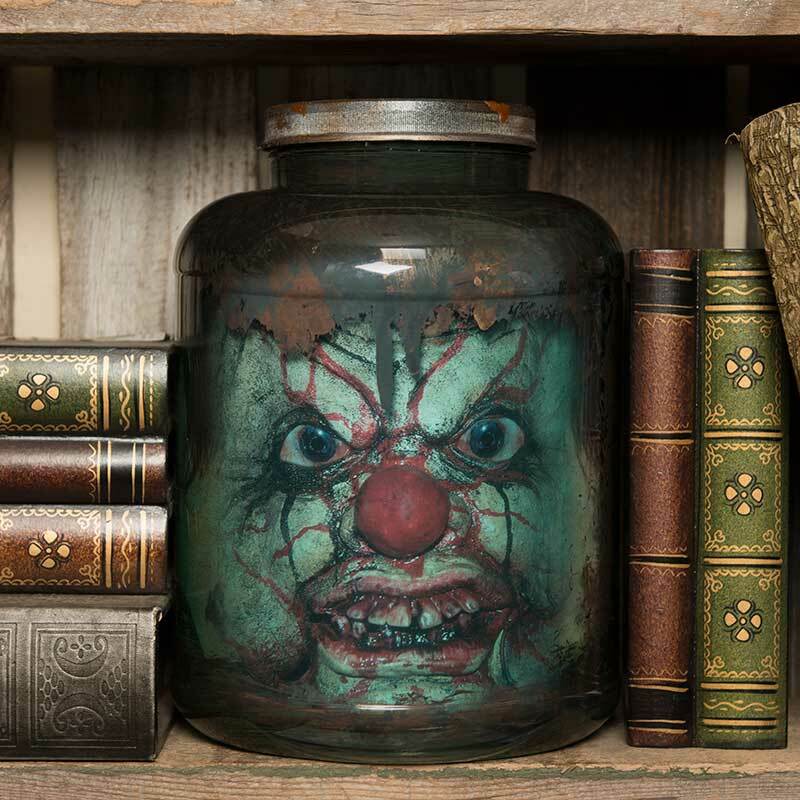 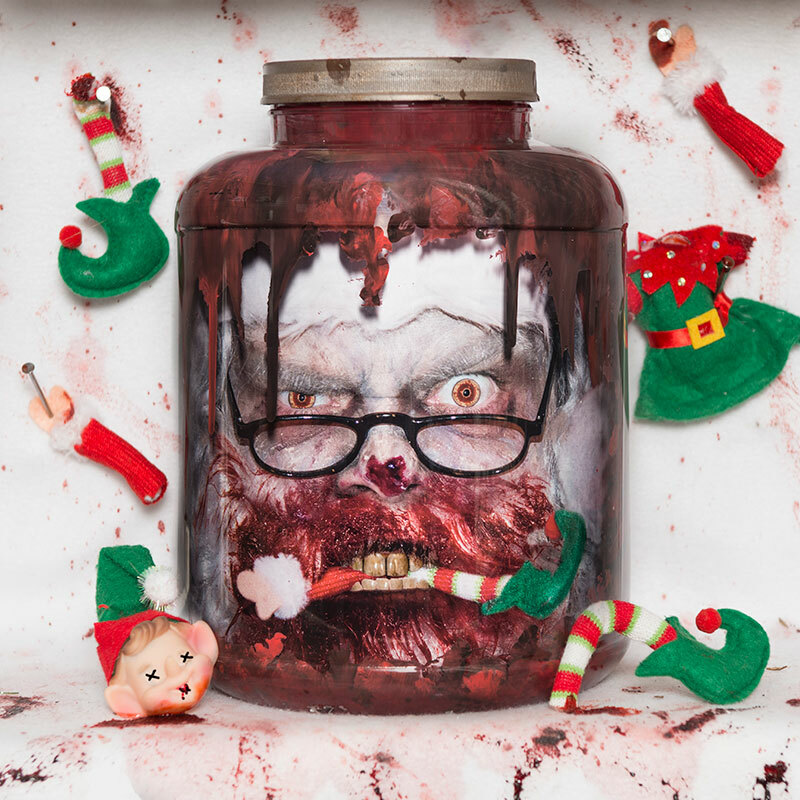 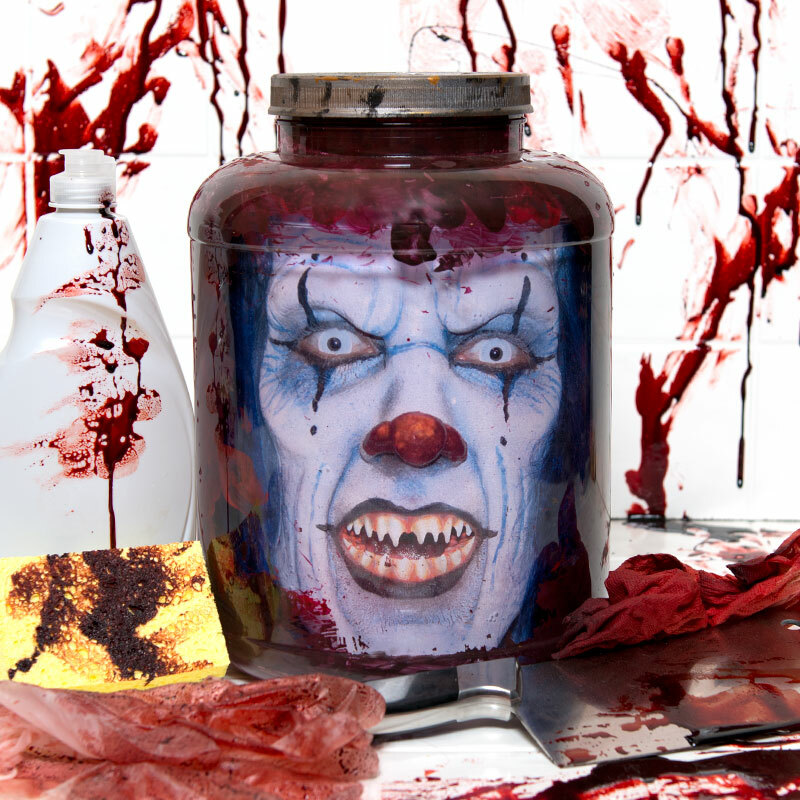 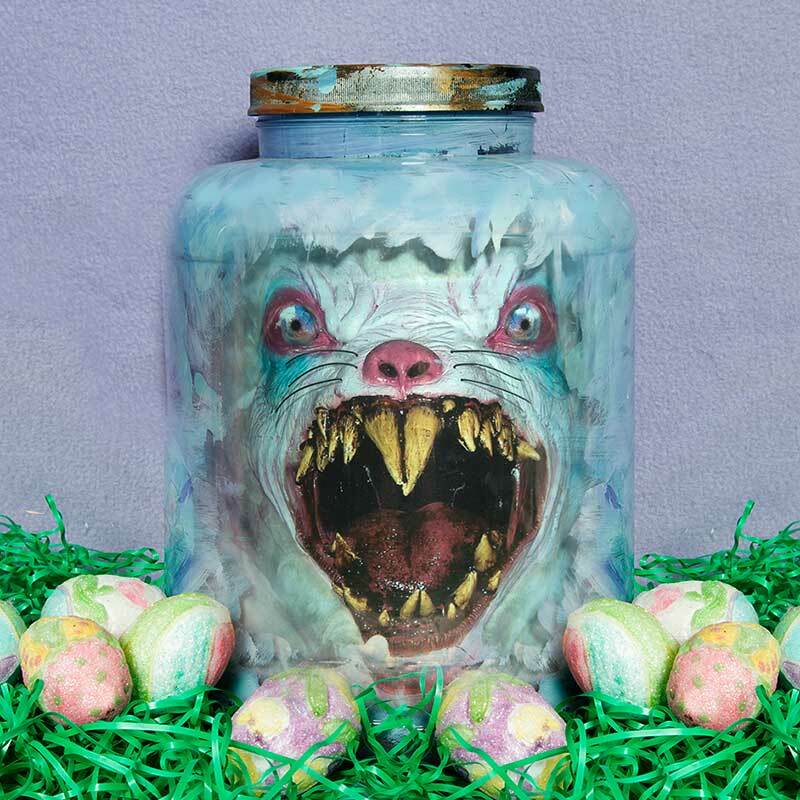 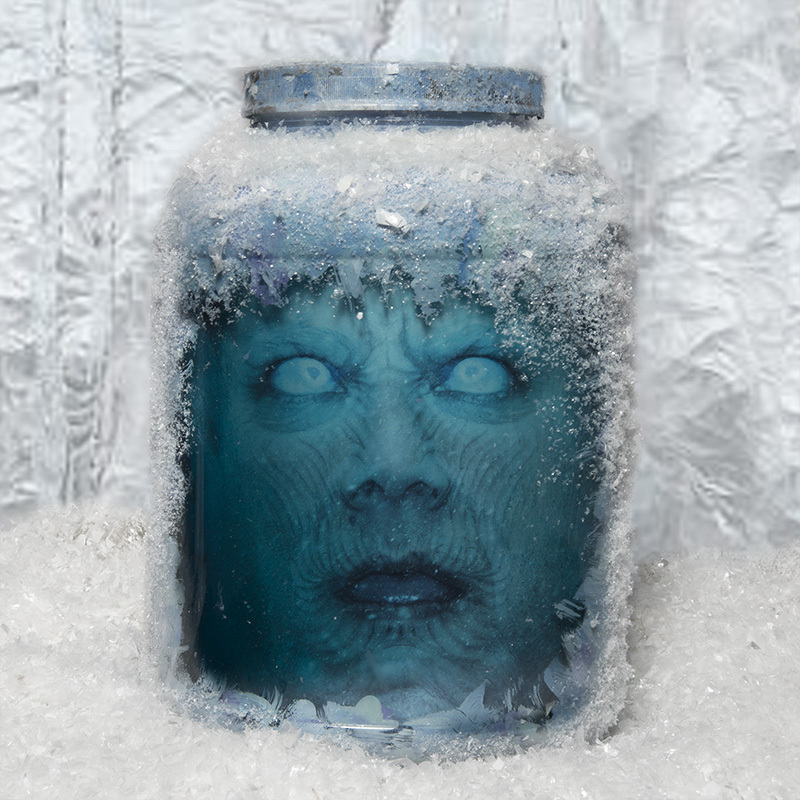 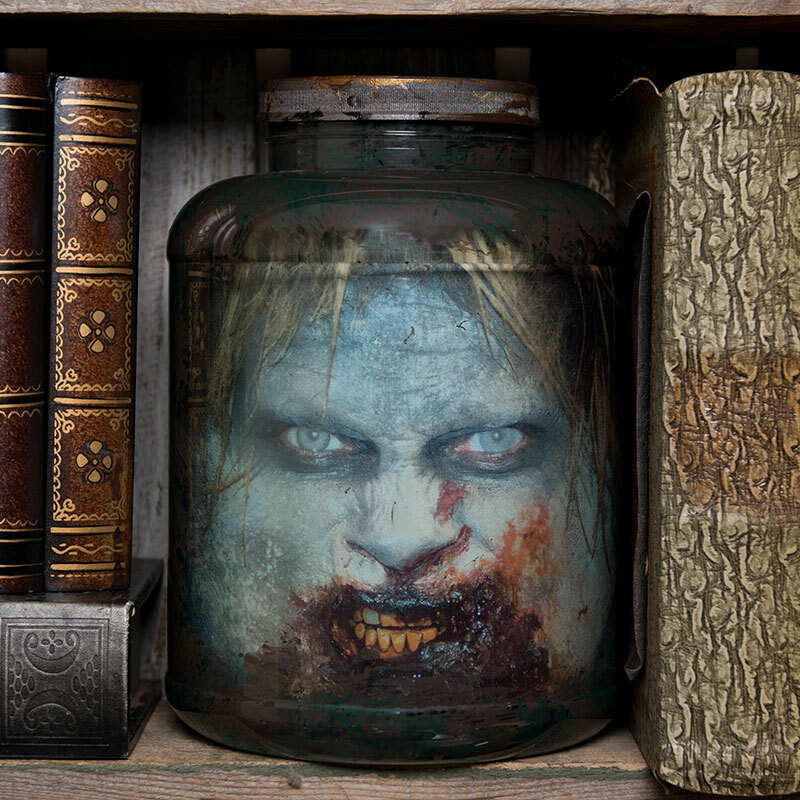 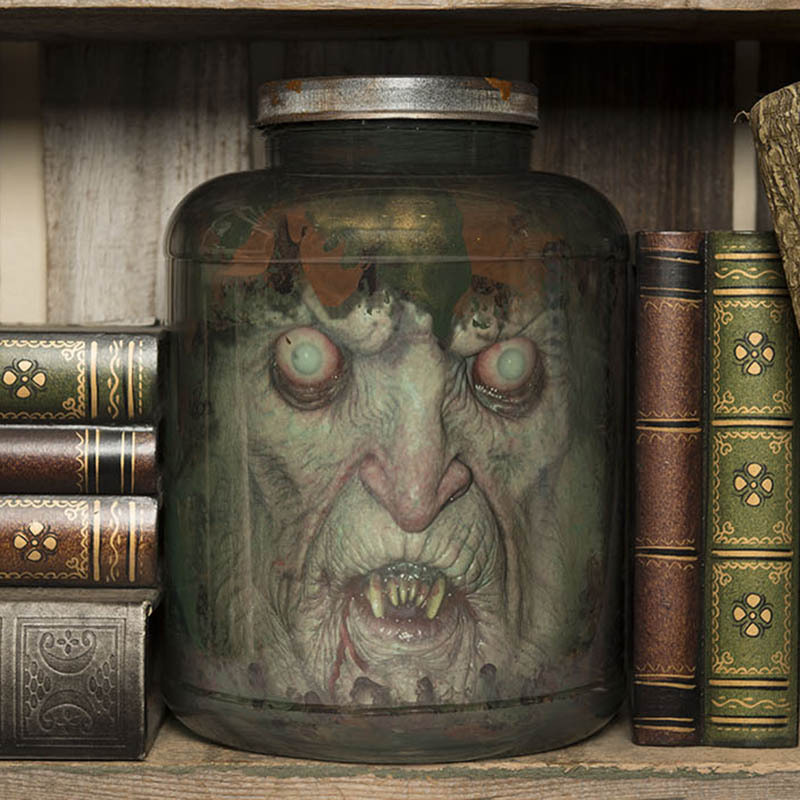 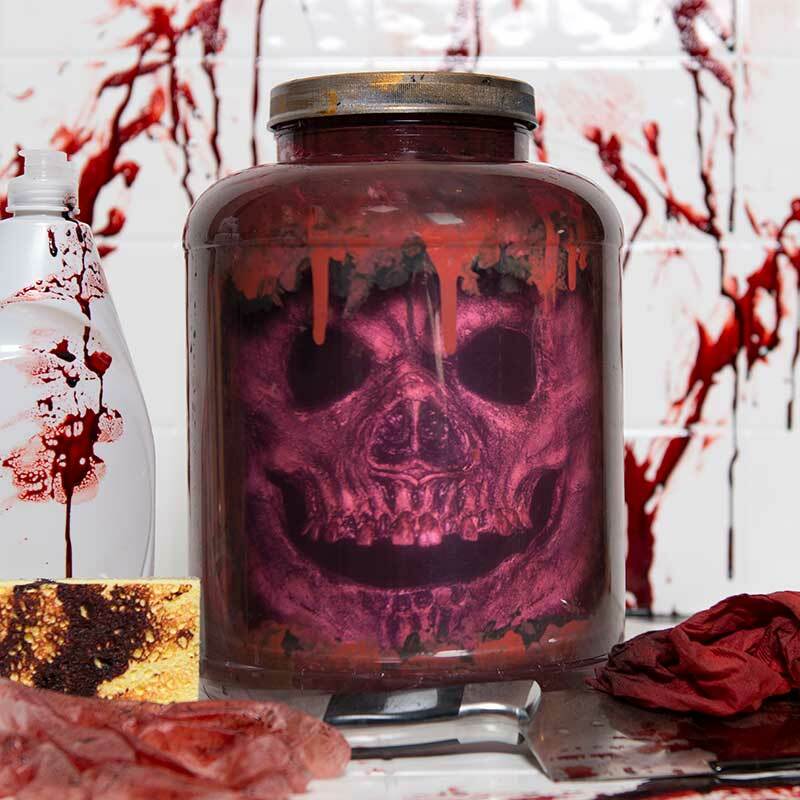 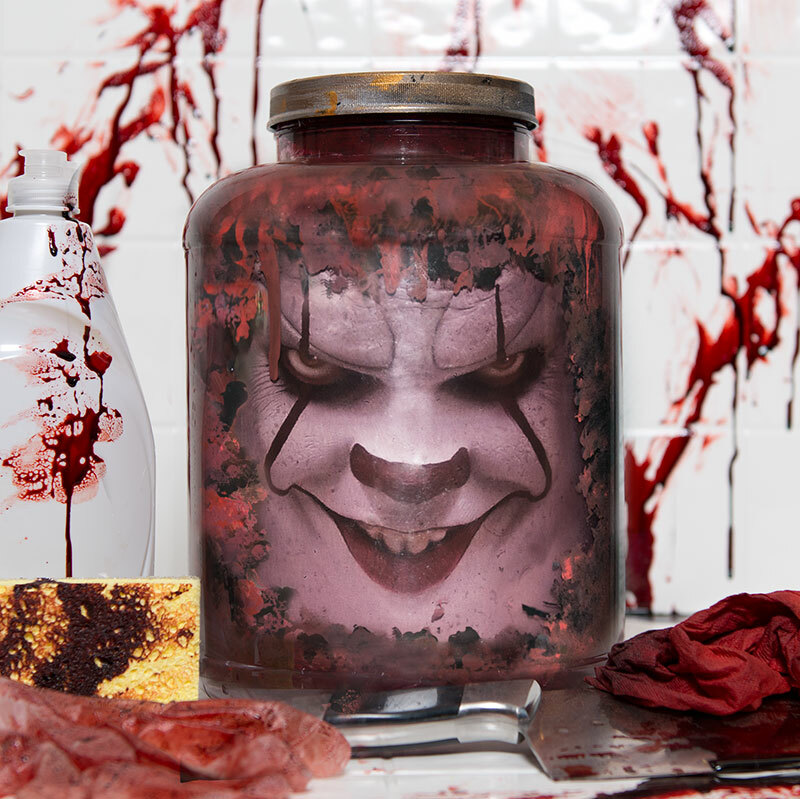 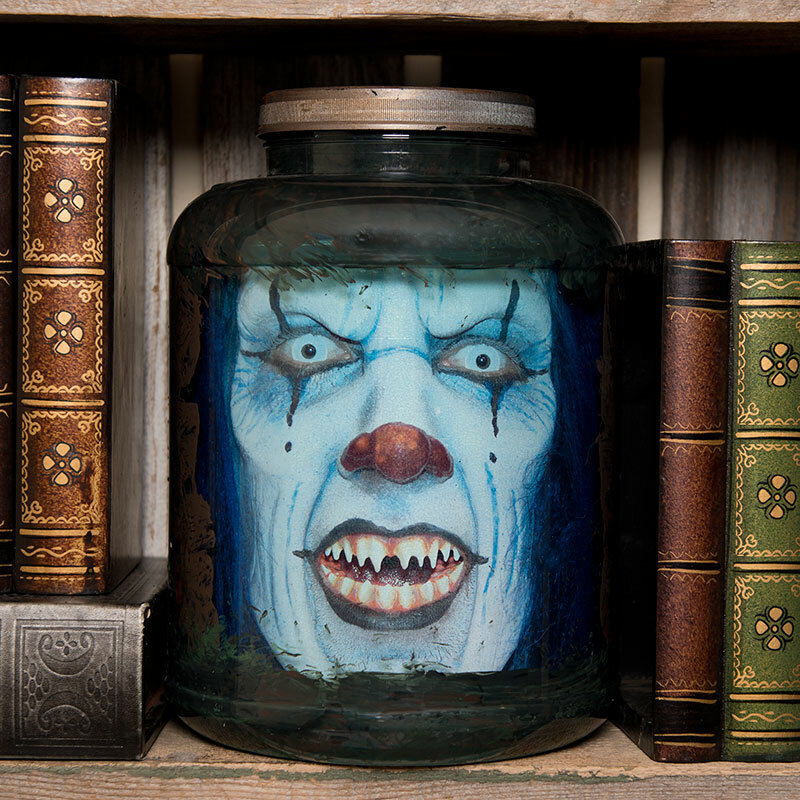 Each Little Jar of Horror contains a laminated, full wrap around hi resolution image featuring the talented work of fx makeup artists, horror sculptors & avid cosplayers. 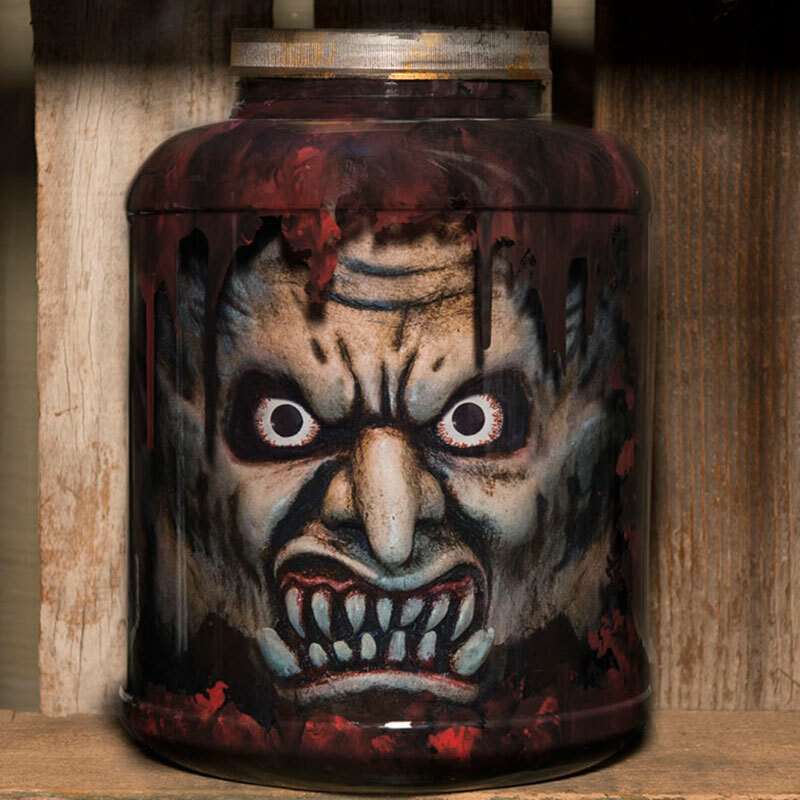 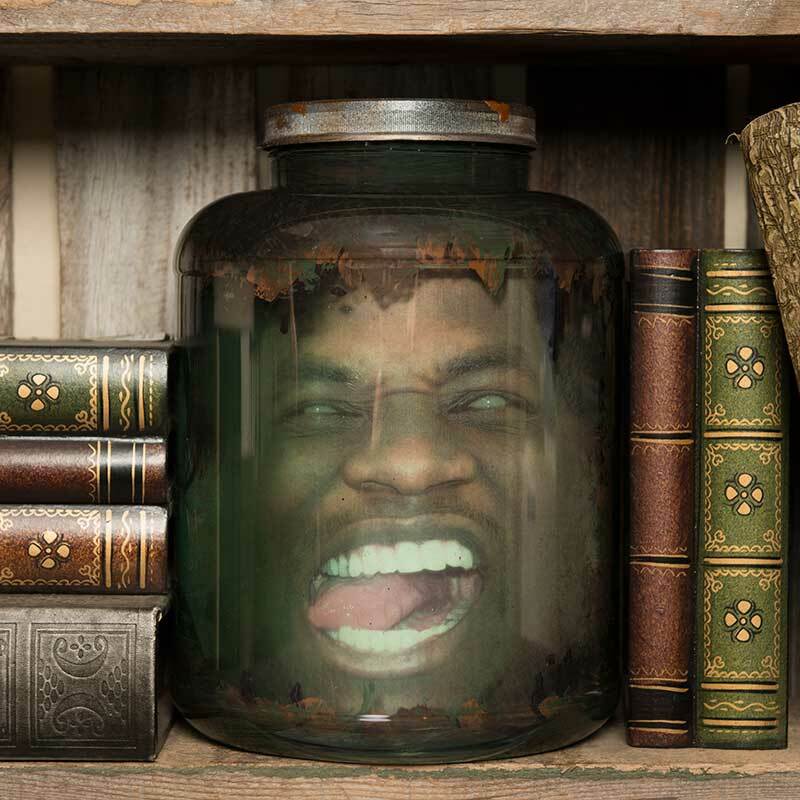 Each lifesize 8"x11" jar is hand painted in the motif of your choice, and comes with color tablets that you place in the jar when filling it up with water. As the water level rises, you will see that the design achieves the desired depth and distortion to give it the illusion of being 3-D. 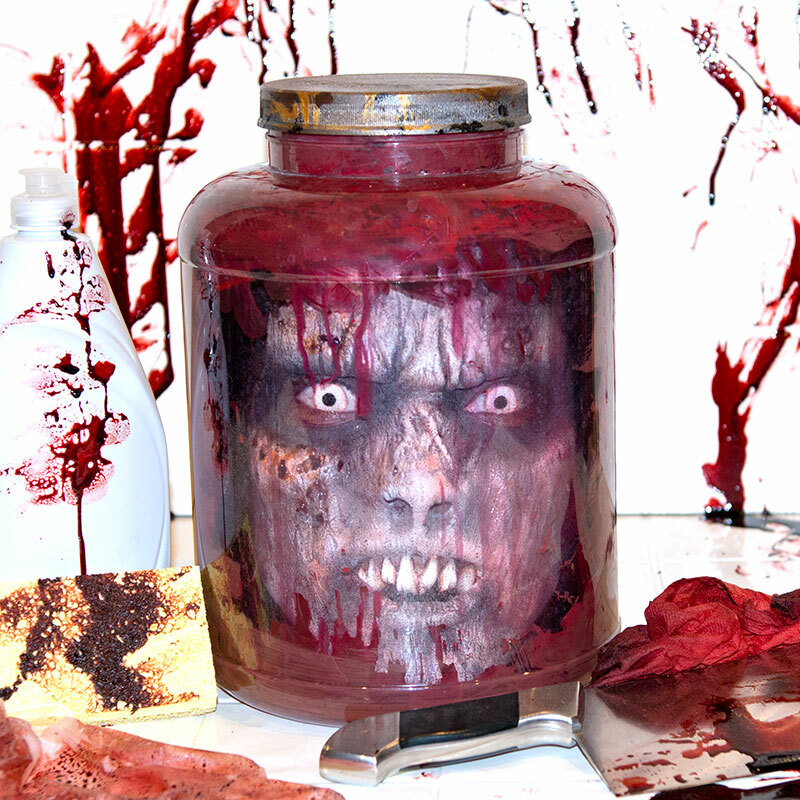 Almost all the designs can be placed in either a Fetid Green or Fresh Red jar. 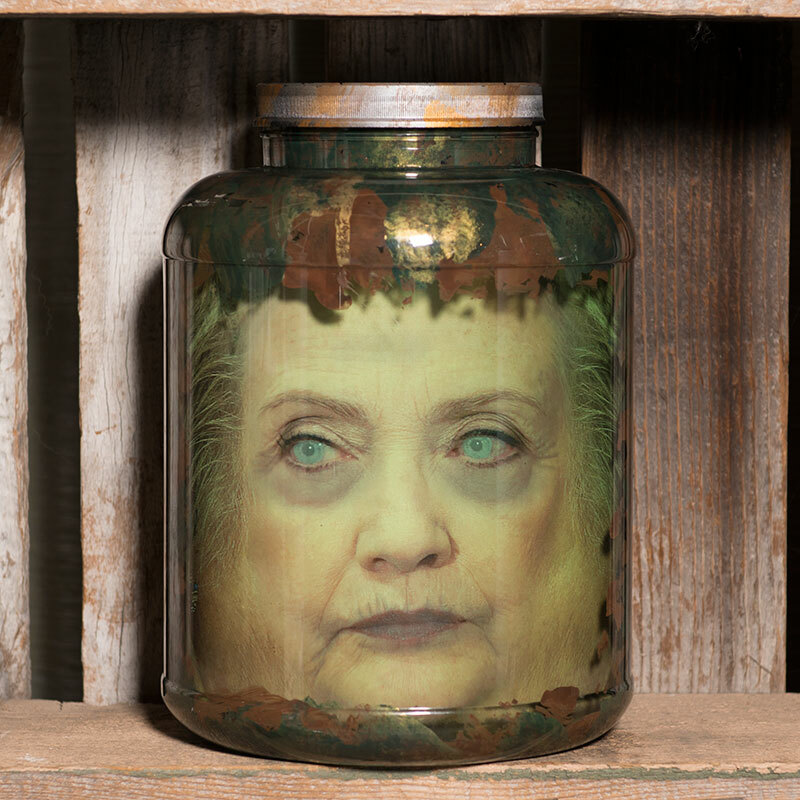 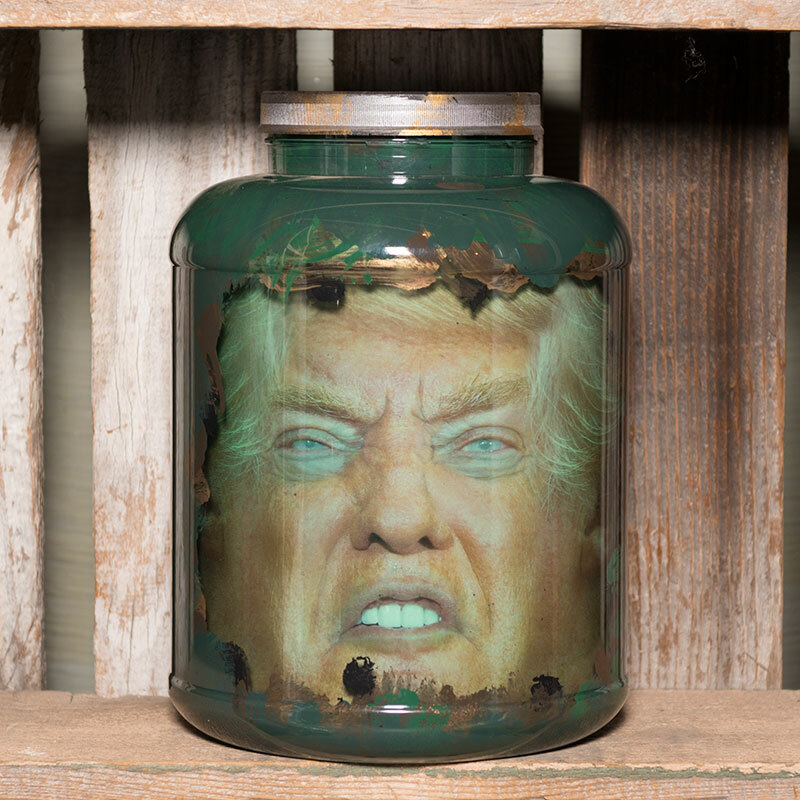 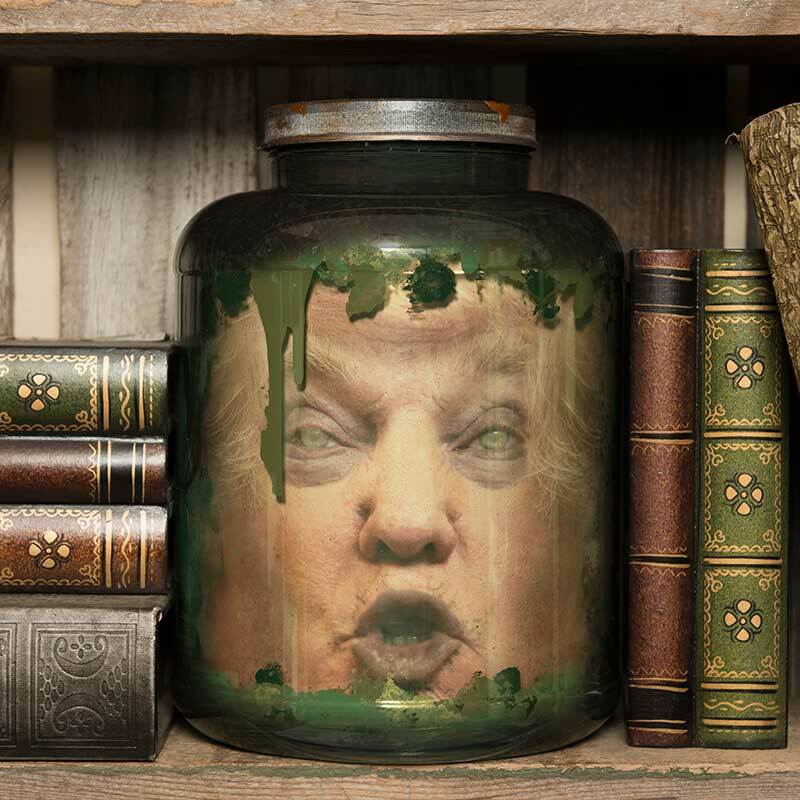 Certain designs, such as our Donald Trump jar or some of our seasonal jars, will come in only one color because we believe they look best with that color pairing. 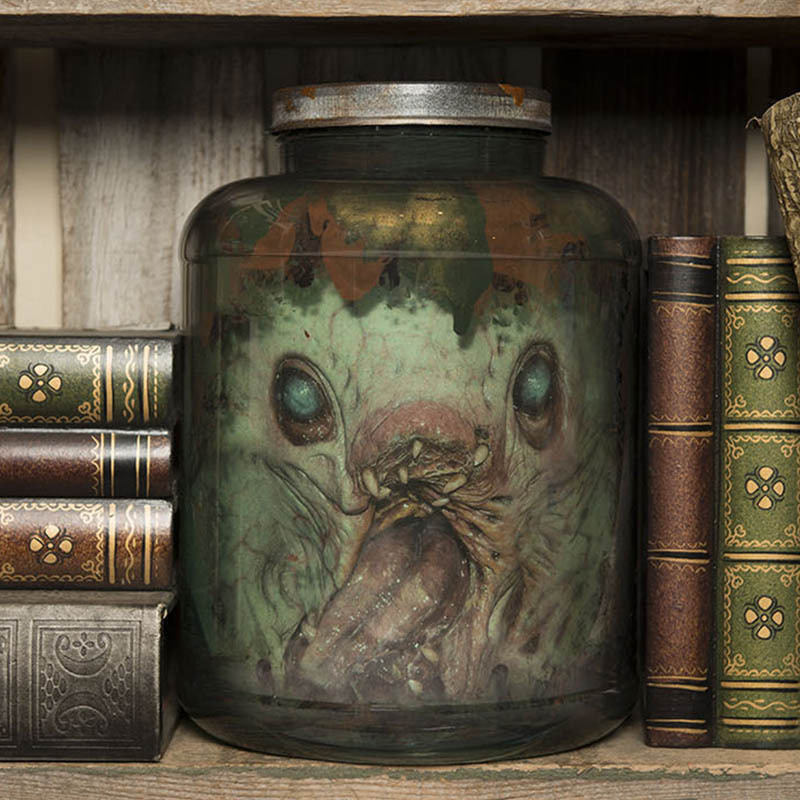 To place an order for any of our listed stock images use the Paypal "Add to Cart" buttons. 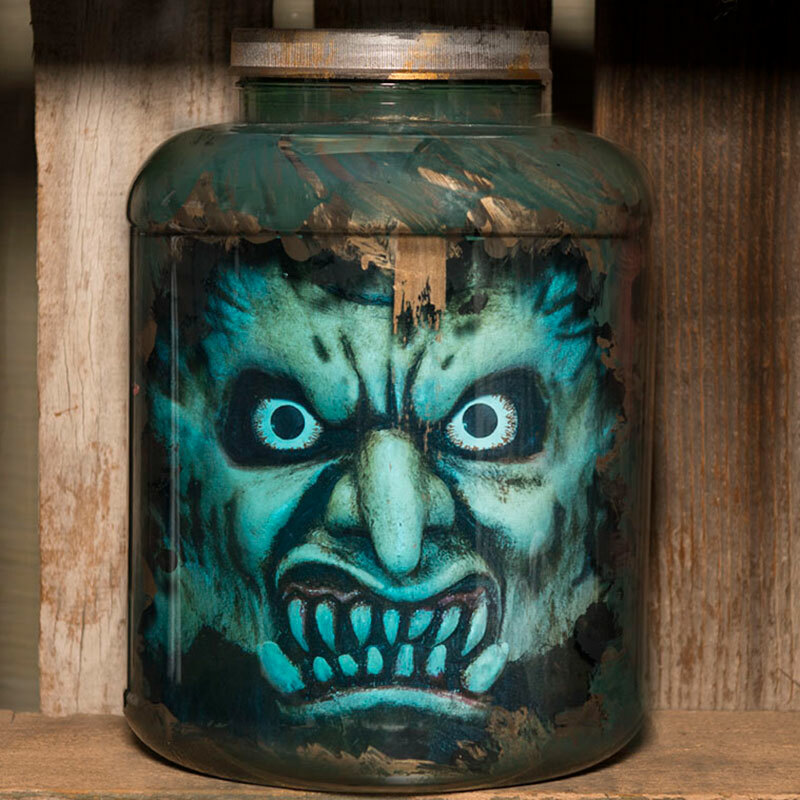 Clicking on the button will take you to the Paypal shopping cart page where you will be able to change order quantities and checkout. 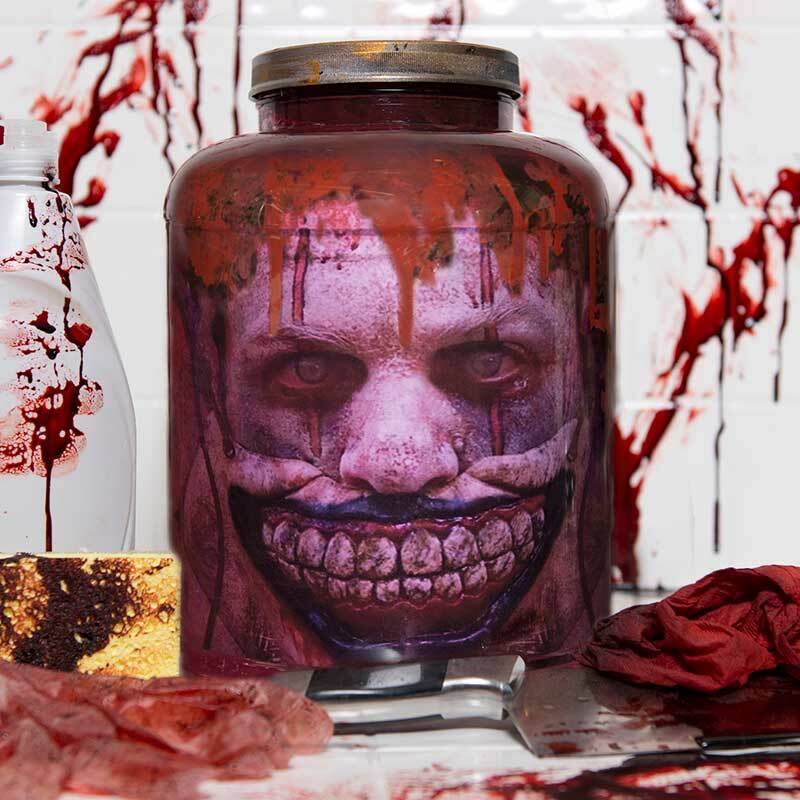 If you'd like to continue shopping you will see a button on the left of the Paypal page which will return you to this page. To checkout from this page click the View Cart button below. 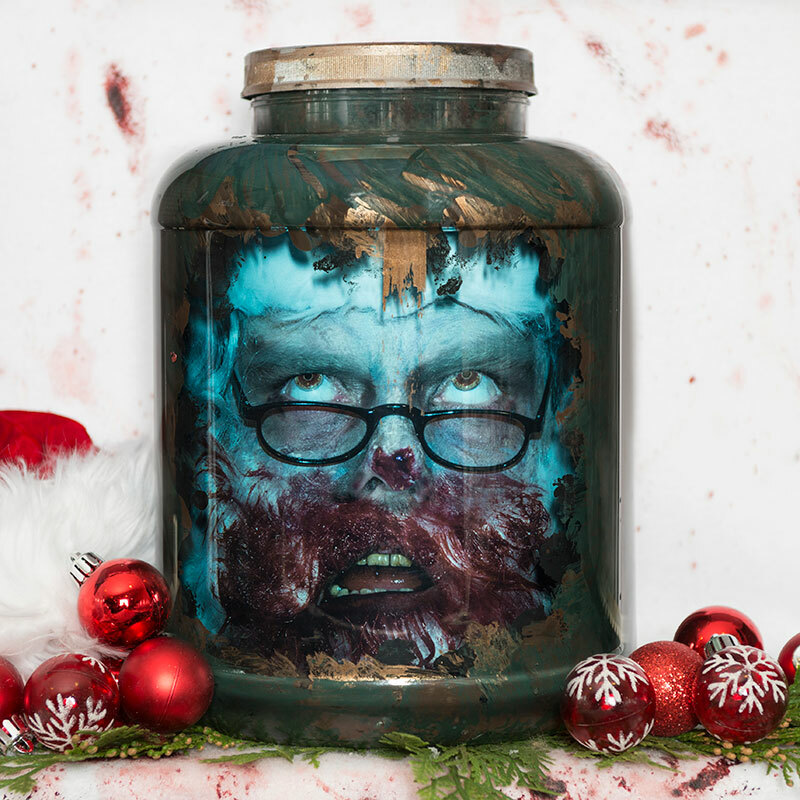 SHIPPING: If you would like your order shipped to you, we charge $10 to ship anywhere in the US per jar via USPS. 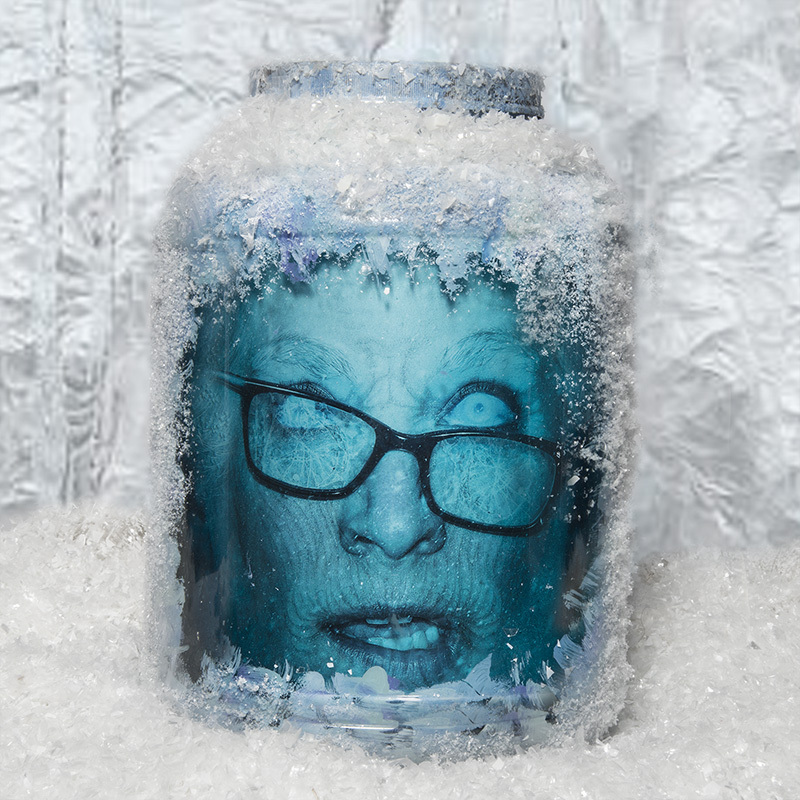 For shipping, please make sure to use the "Add to Cart" button below the "Shipped" label. 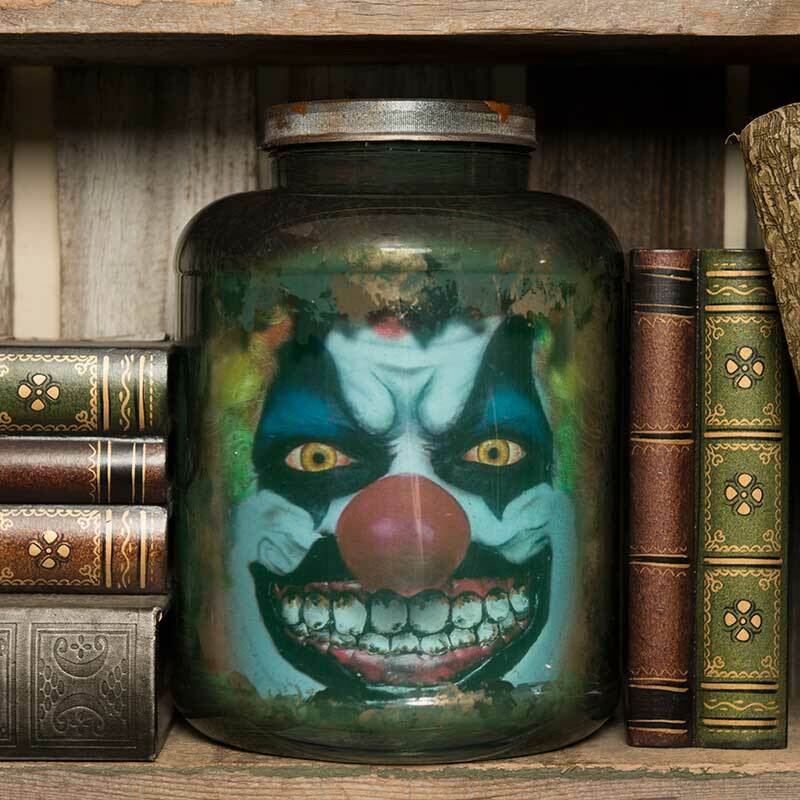 Shipping will then be added within the Paypal cart. Shipping discounts are only available when jars are purchased in groups of 6, but you will have to contact us to have us create a custom invoice for you with the exact shipping amount from Fed-Ex Quick Ship. 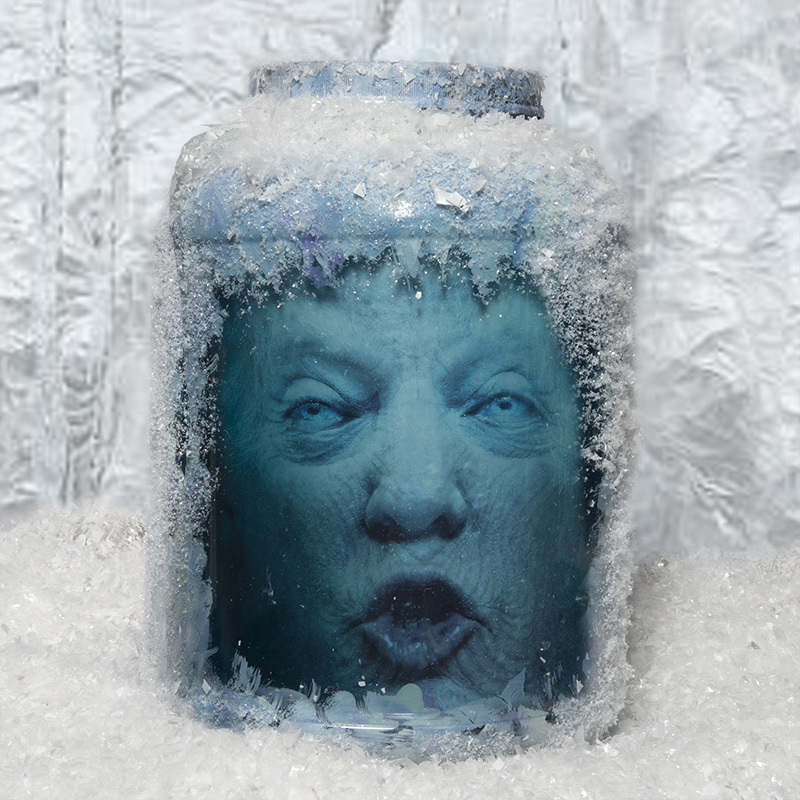 PICK-UP: If you are in the Chicagoland area, you can arrange local pickup in St. Charles, which is 45 min West of O'Hare. 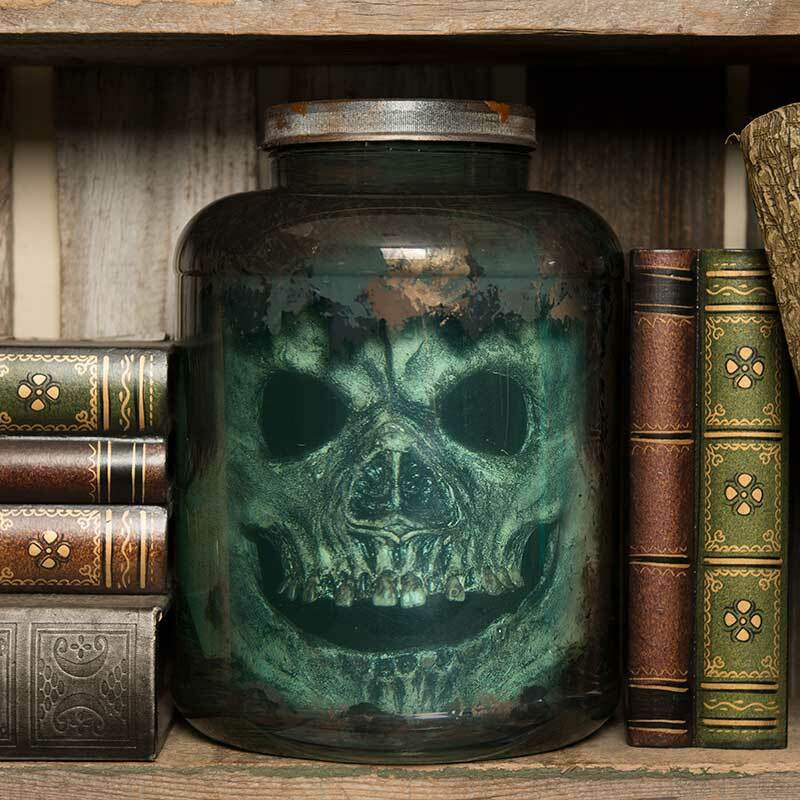 If you would like to pick this option, please make sure to use the "Add to Cart" button below the "Pickup" label. Dude, That Was My Skull! 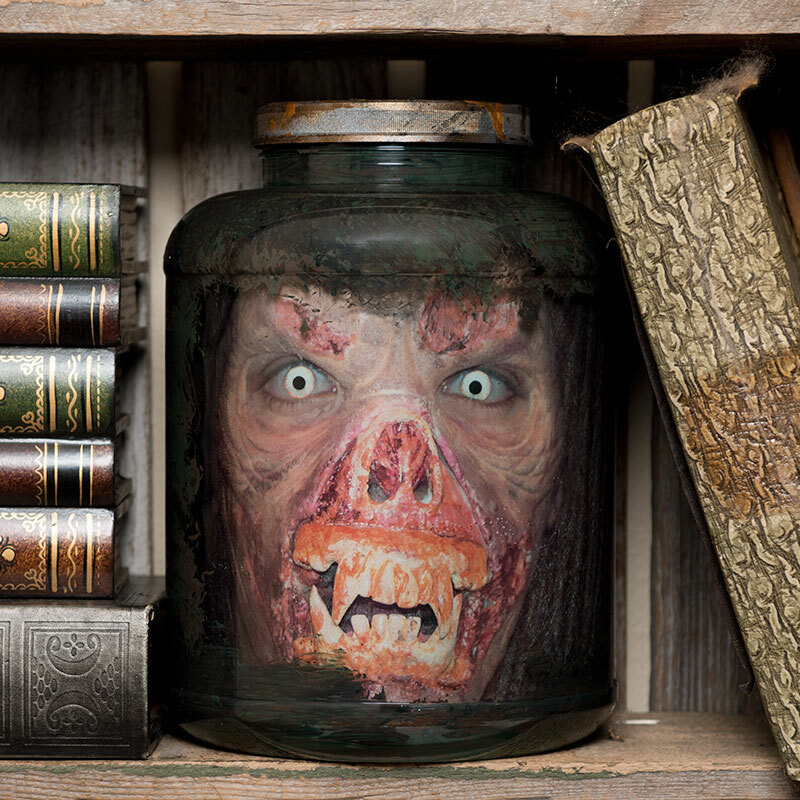 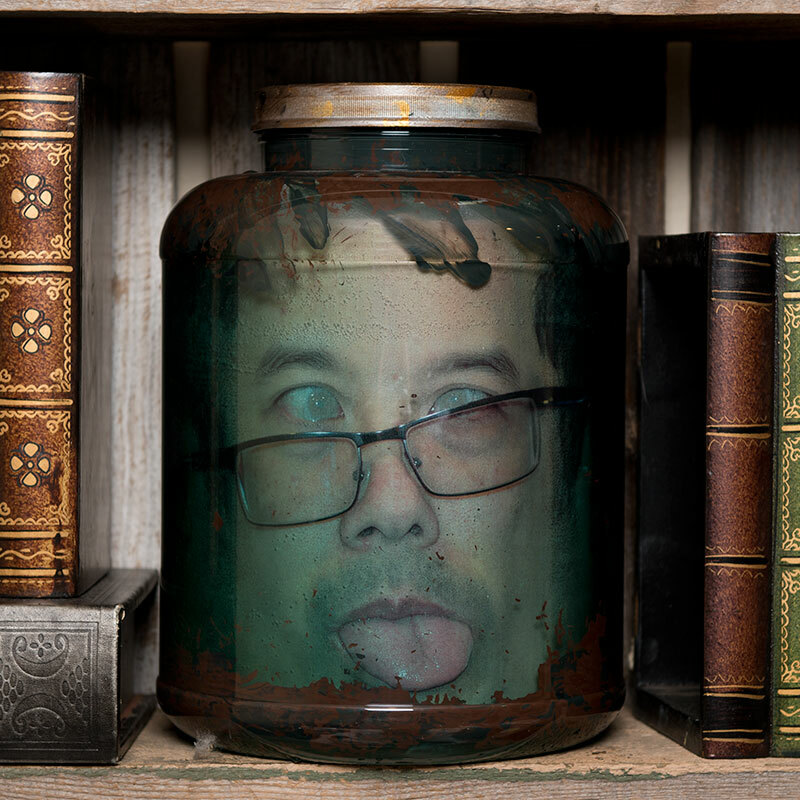 We add to our gruesome collection constantly and will offer various limited editions, so check back often!